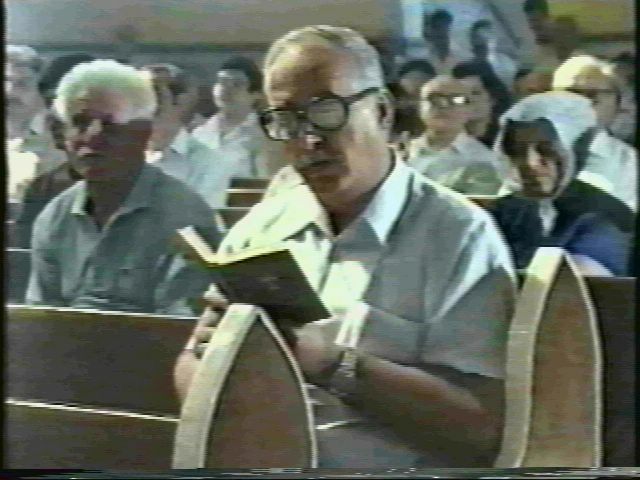 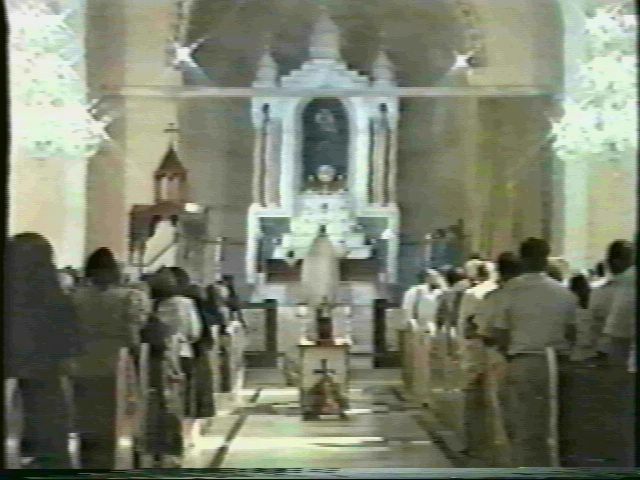 Assyrian Church in North Iraq Bombed by Saddam in 1988. 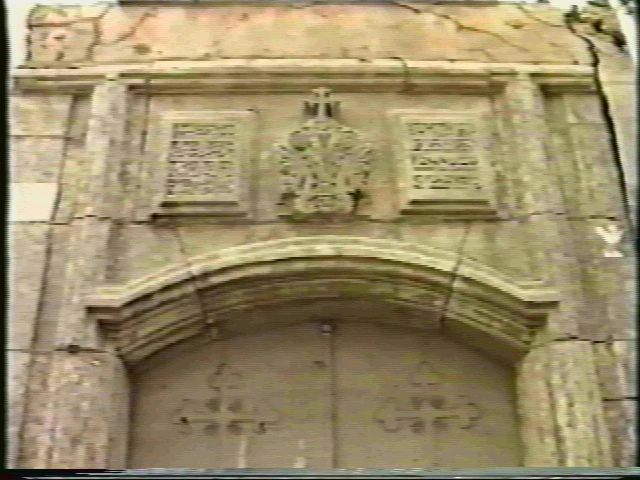 Remains of an Assyrian church in North Iraq, bombed by the Saddam Regime in the late 1980's. 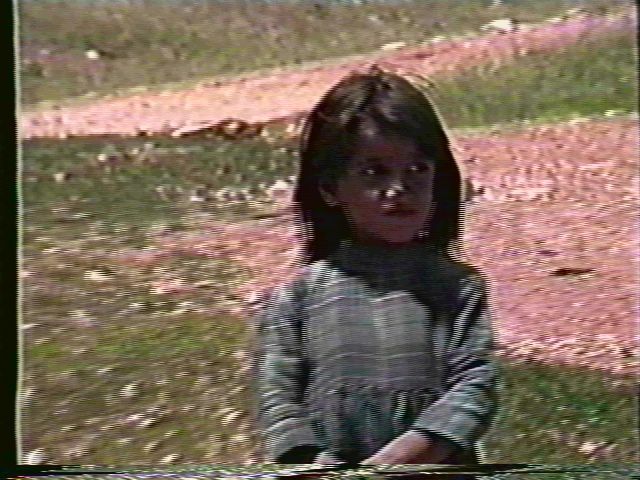 Assyrian girl watches as villagers work on repairing a bombed church. 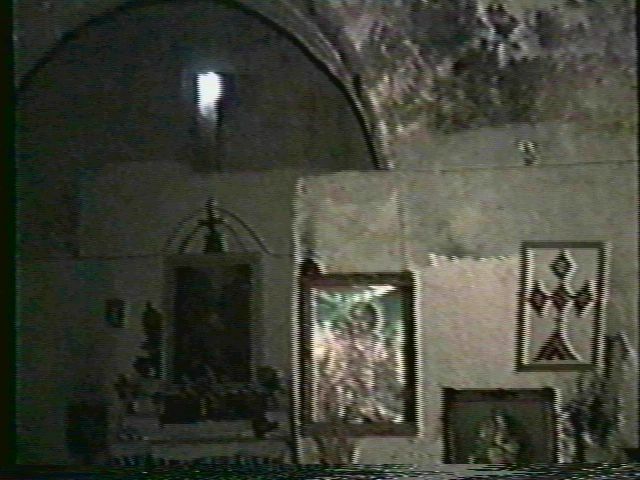 Assyrian villagers still pray in destroyed Church in North Iraq. 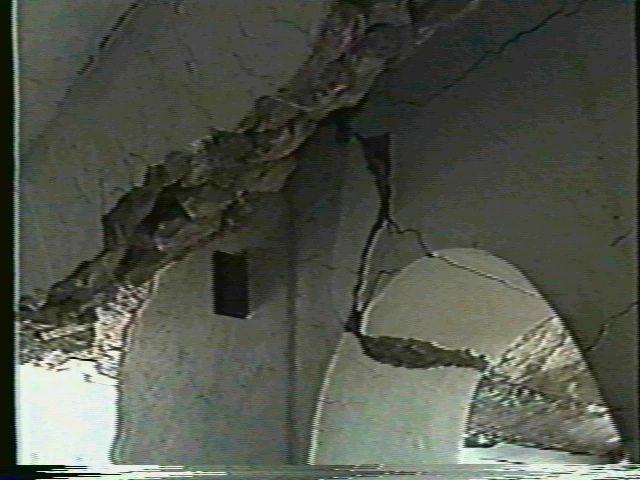 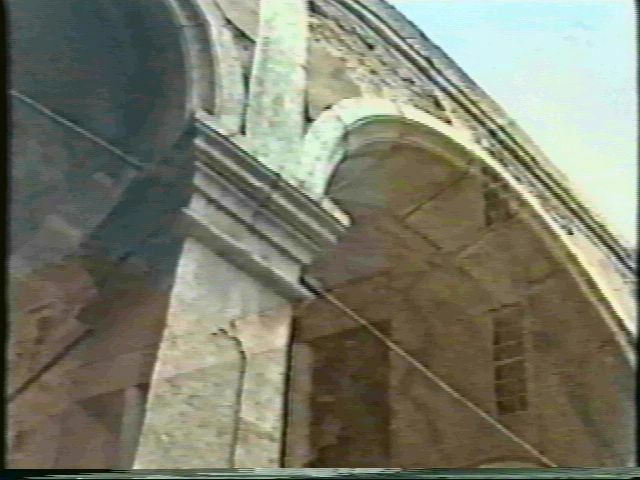 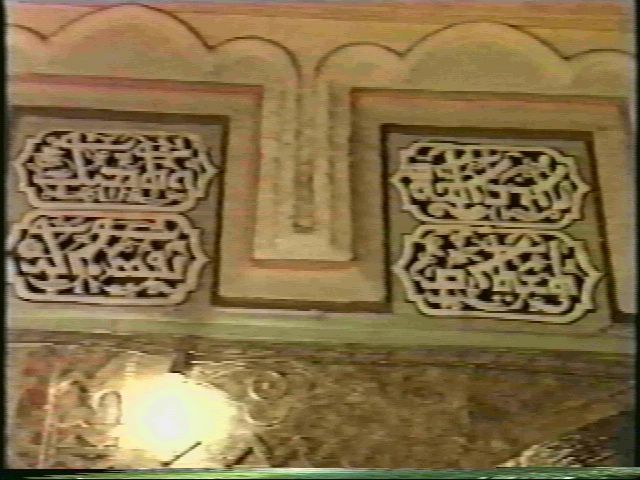 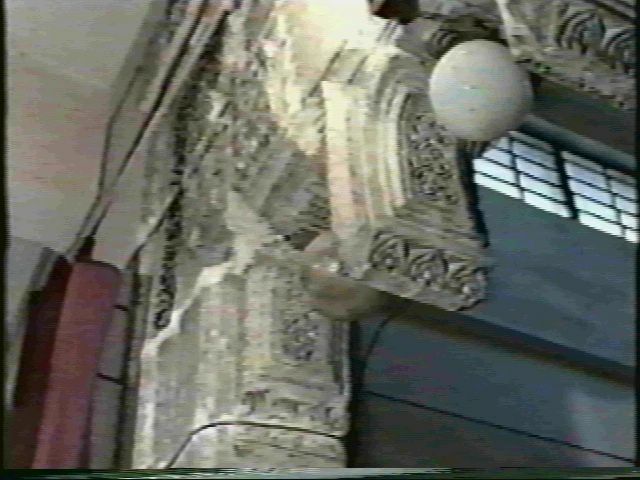 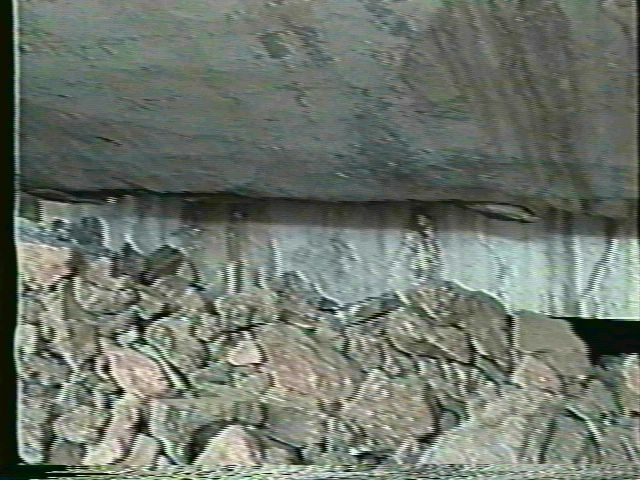 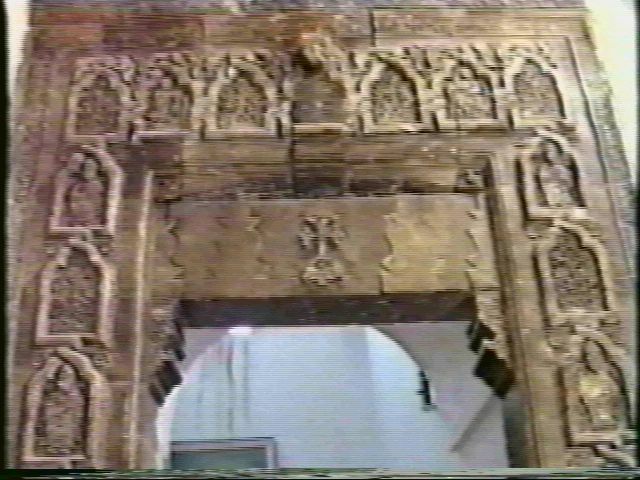 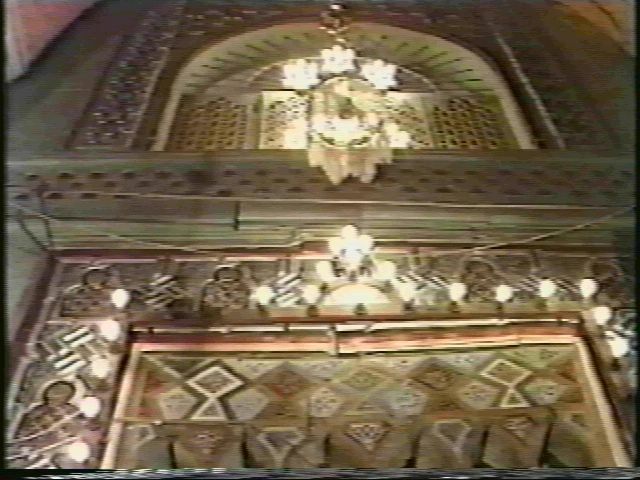 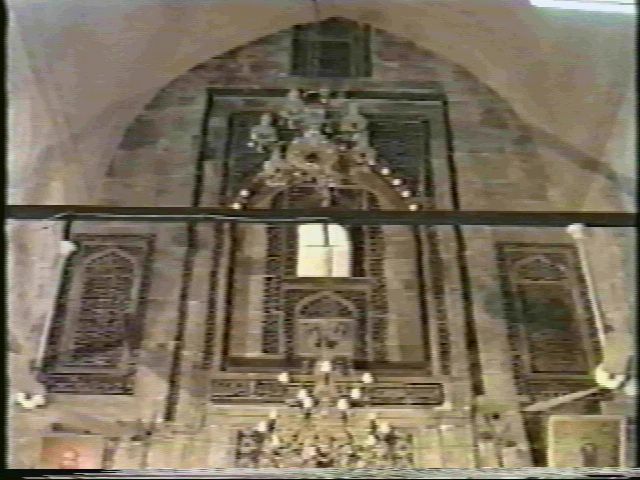 Exposed ceiling steel beams after Chuch Bombing by Saddam in 1988. 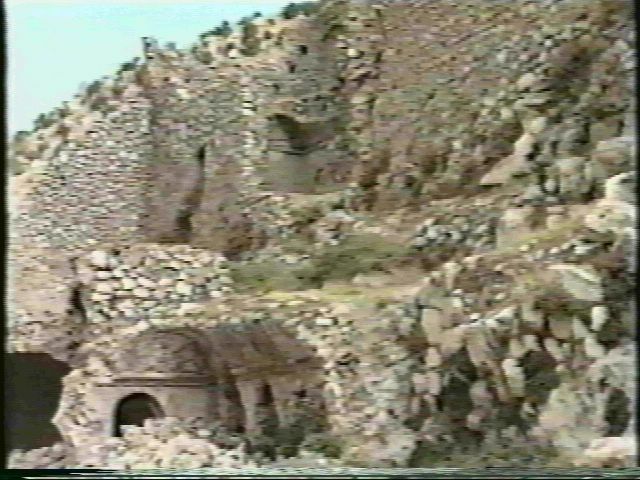 Remains of ancient church exposed to the elements. 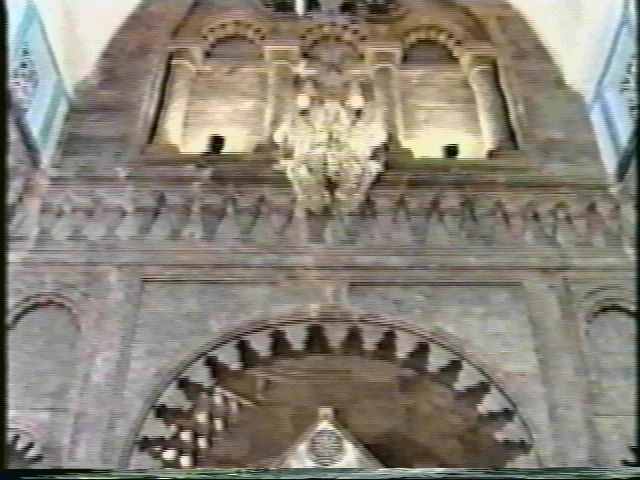 Bombed Assyrian Church with ceiling Supported by Wooden Logs. 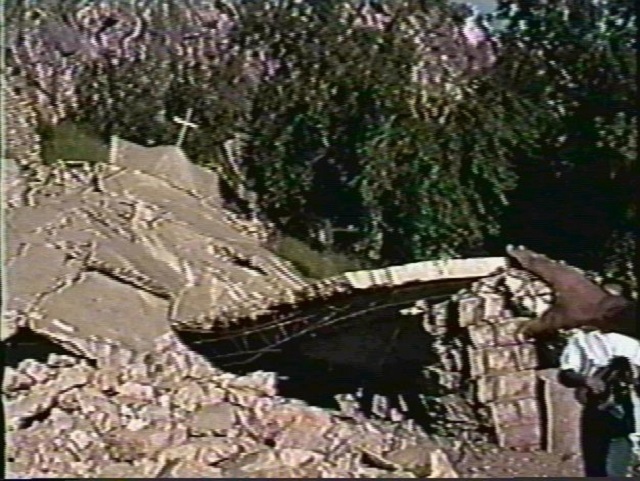 Destroyed Church showing collapsed ceiling. 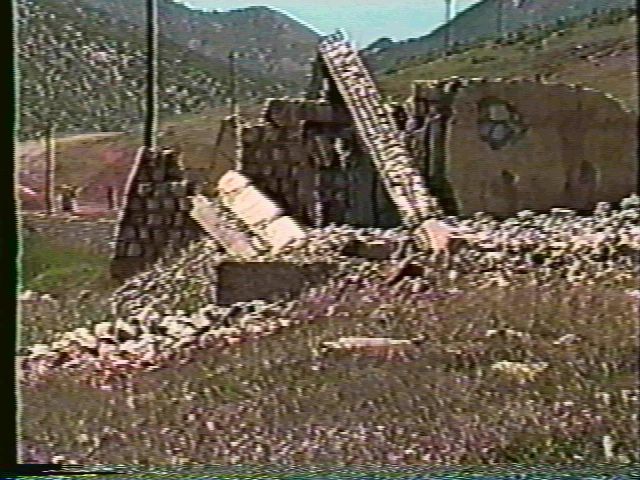 Rubble moved out of Church by Assyrian Chrisitans after Bombing. 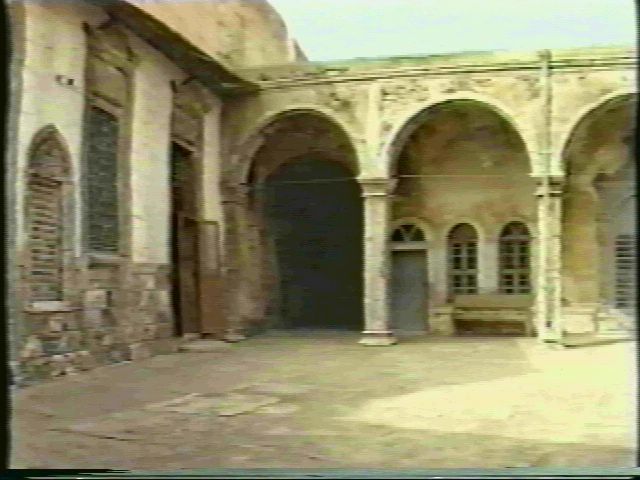 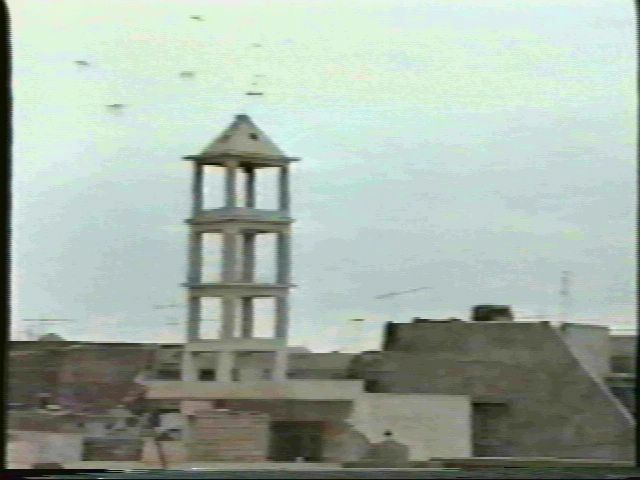 The Church of Mar Sawa in north Iraq, destroyed by the Saddam regime. 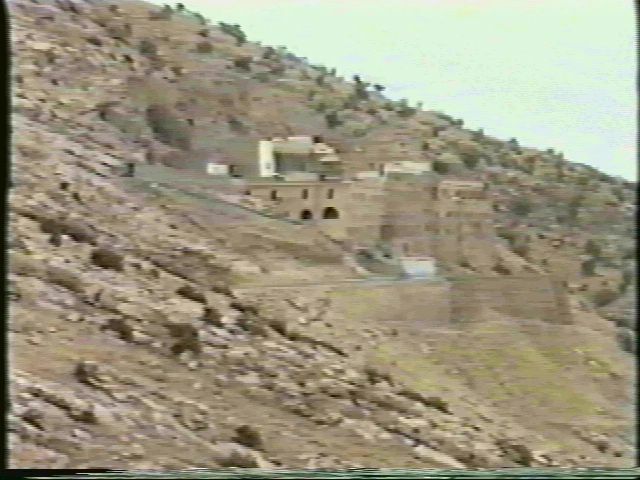 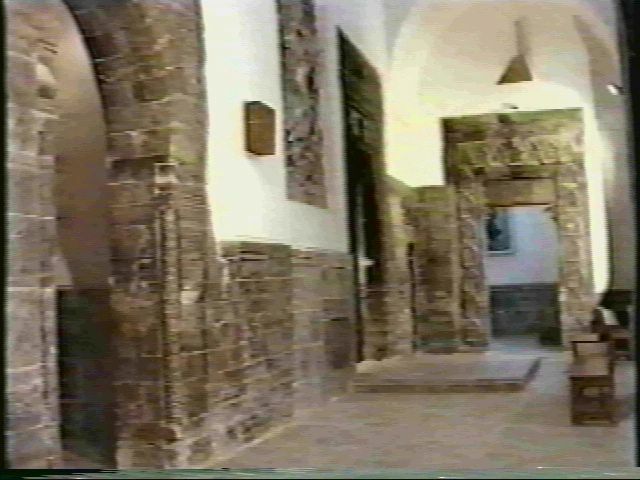 St. George Assyrian Church (Mar Gewargis) in Northern Iraq, destroyed by Saddam. 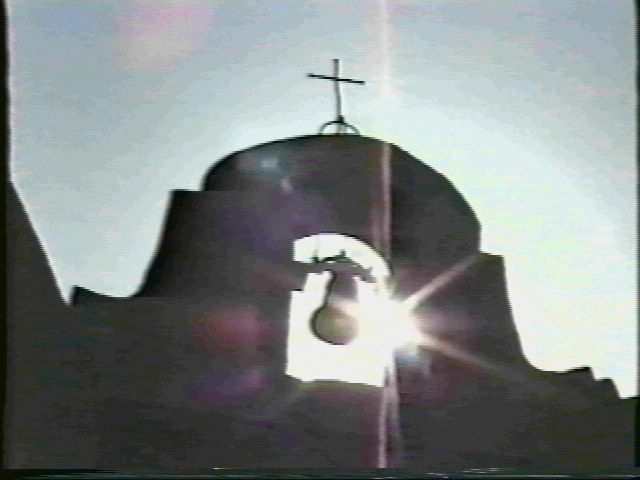 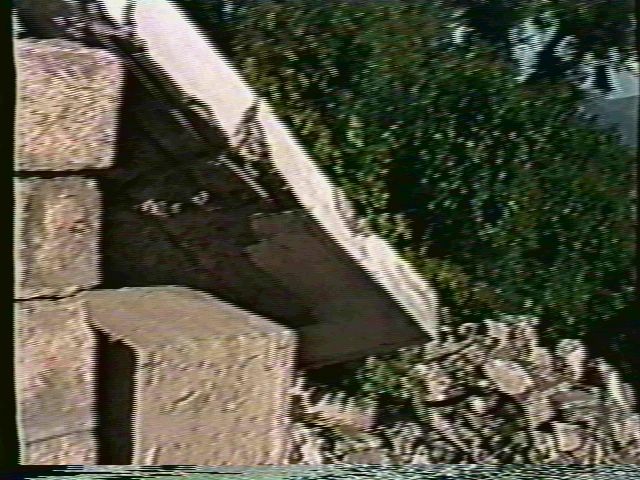 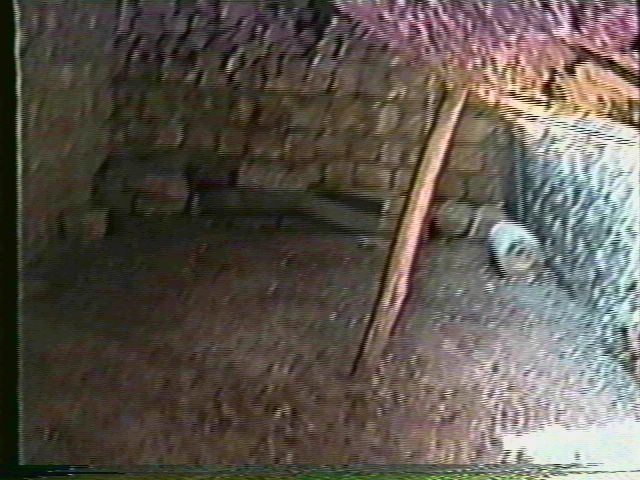 Assyrian Church bombed in 1988 Anfal Campaign. 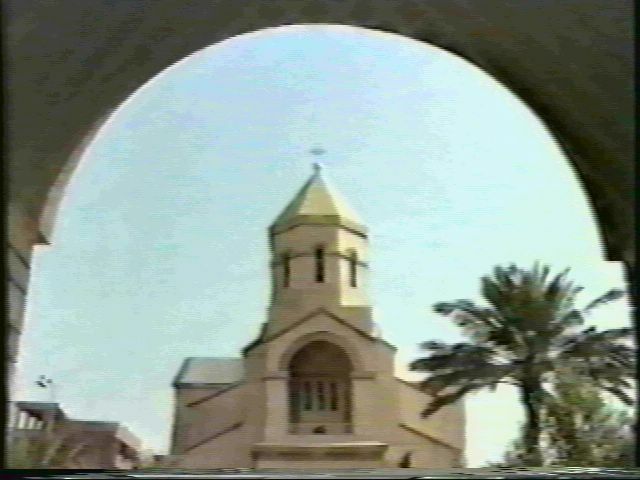 This Assyrian Church in north Iraq was completely rebuilt in 1984-1986, but was bombed in 1987 by the Saddam Regime. 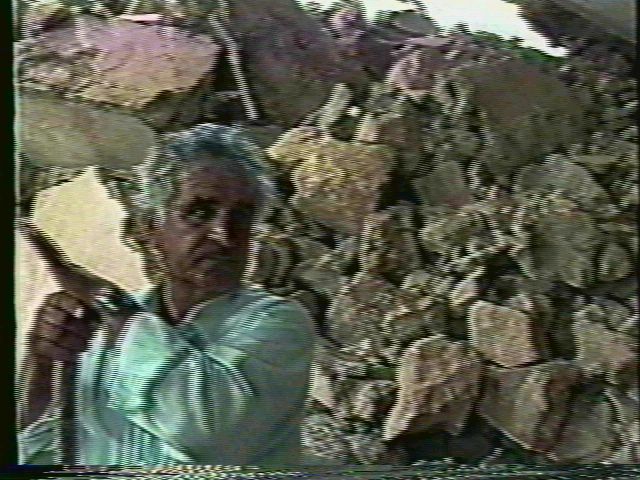 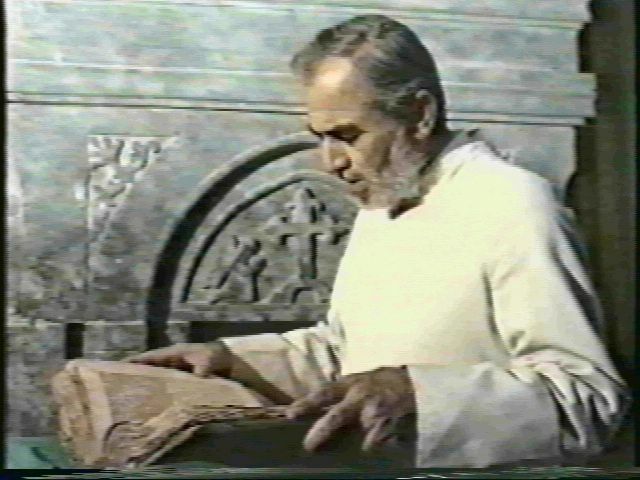 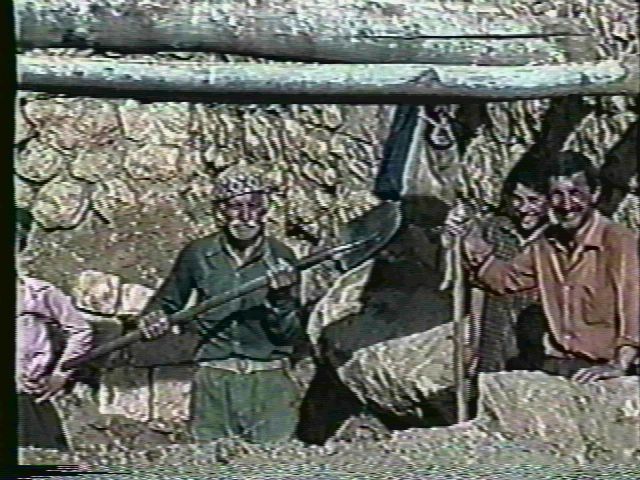 One of the Assyrian Christian Villagers who was working on rebuilding the Saddam Bombed Church. 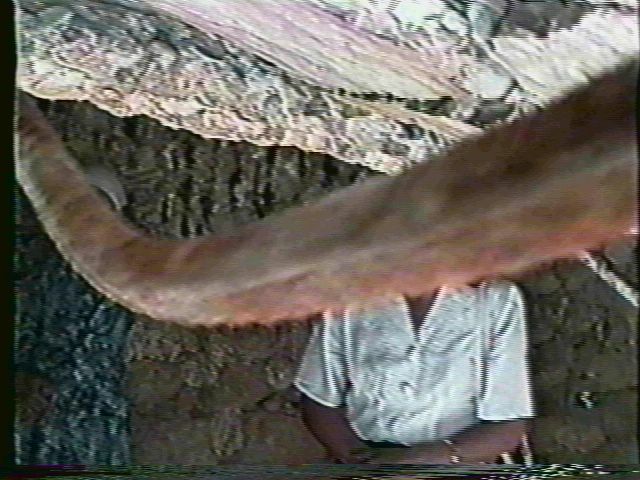 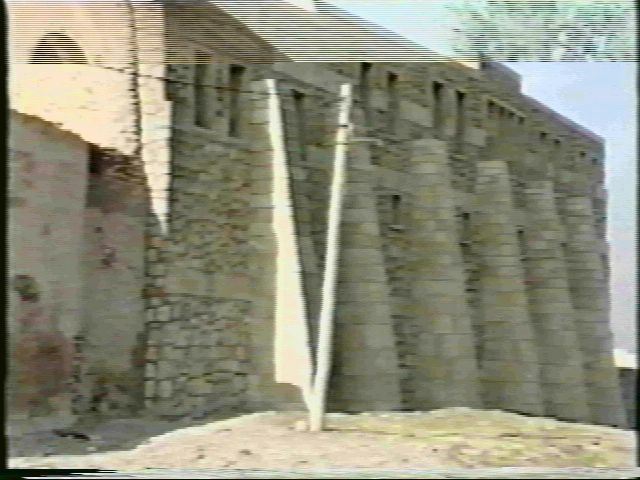 Assyrian homes on higher grounds were partially spared. 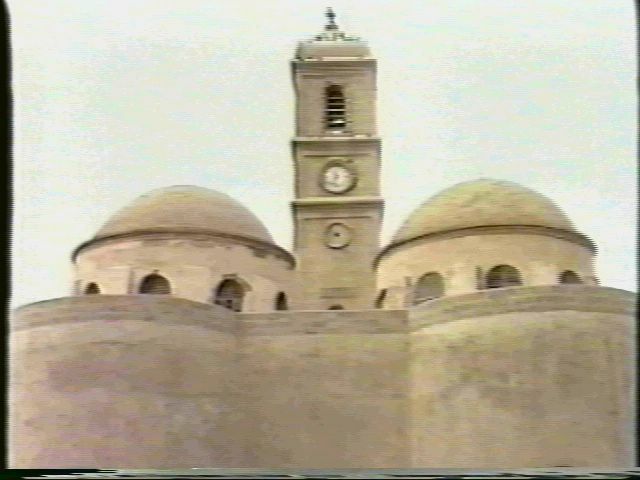 Saddam's soldiers did not go up to place explosives as they did with Churches. 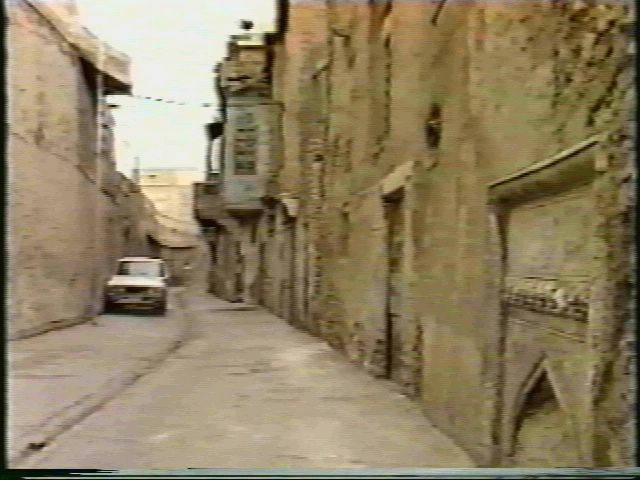 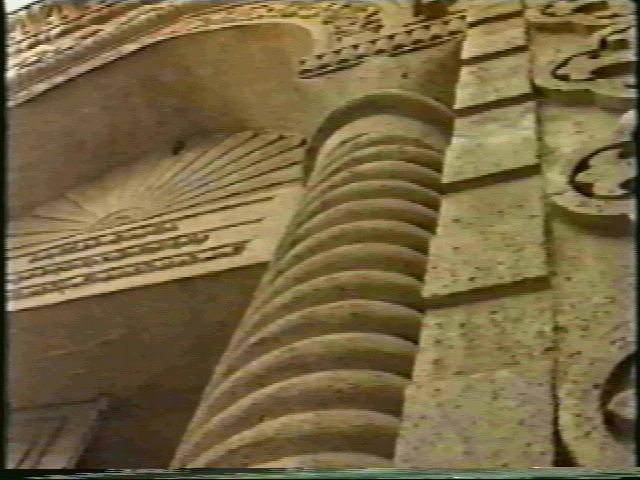 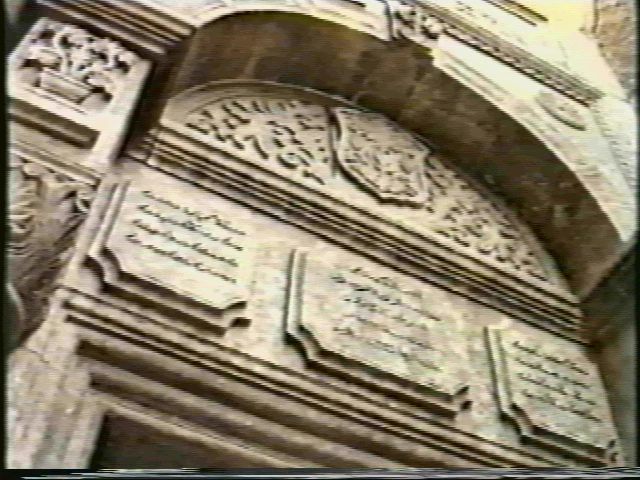 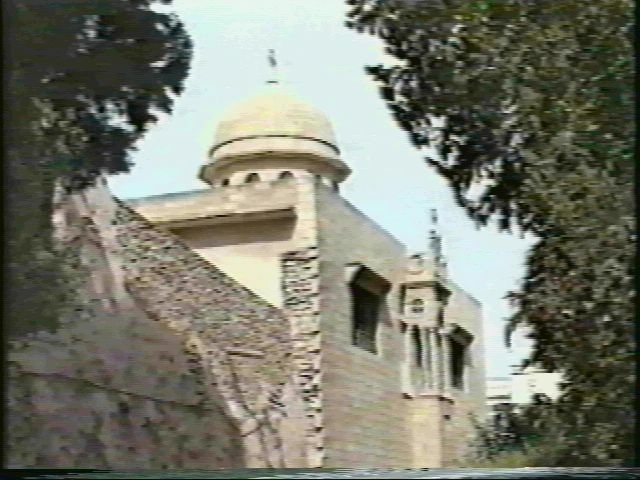 The large stoned wall of this Assyrian church withstood Saddam's bombs in 1988. 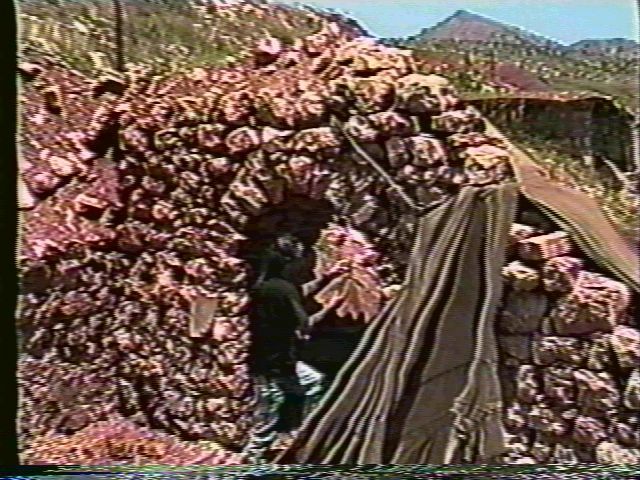 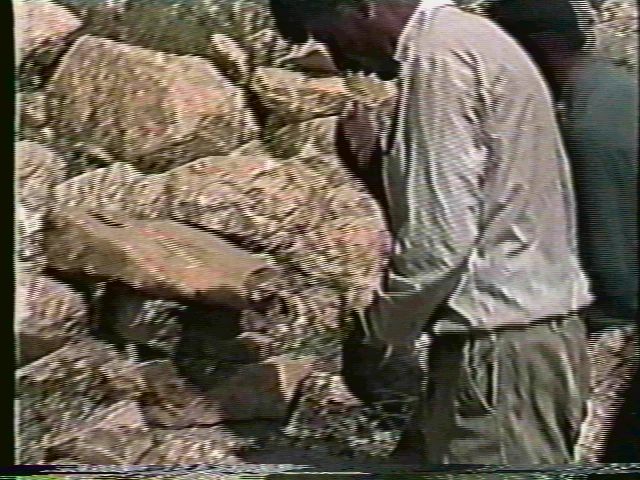 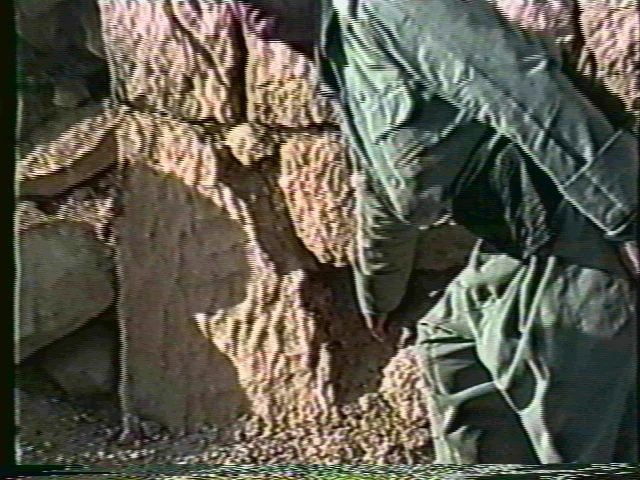 Assyrian villager points to where explosives were placed by Saddam's soldiers to destroy this church. 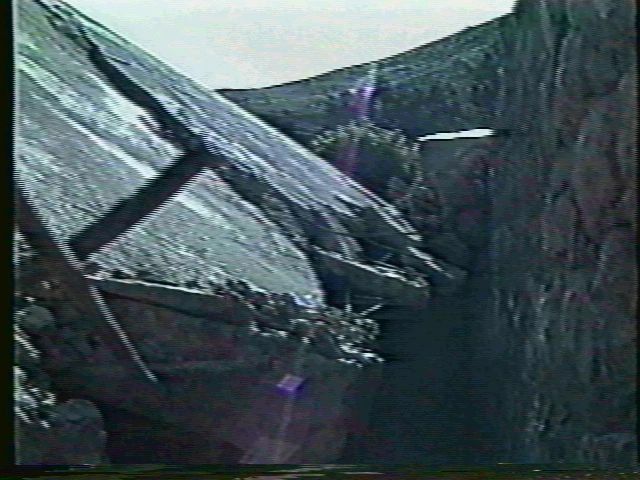 Homes were completely destroyed. 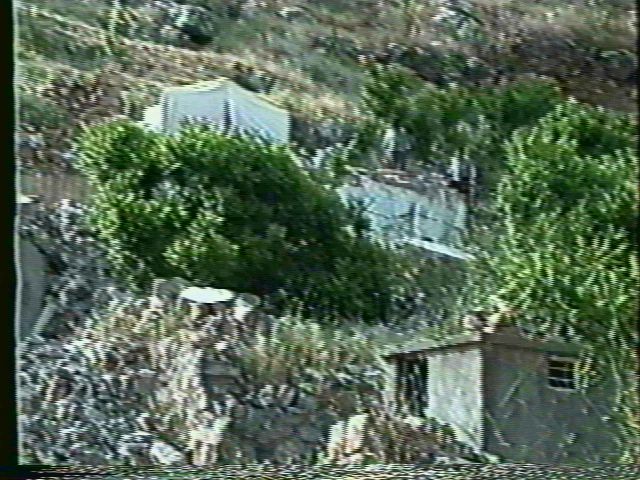 Tents and new buildings were later erected by villagers and the Assyrian Democratic Movement. 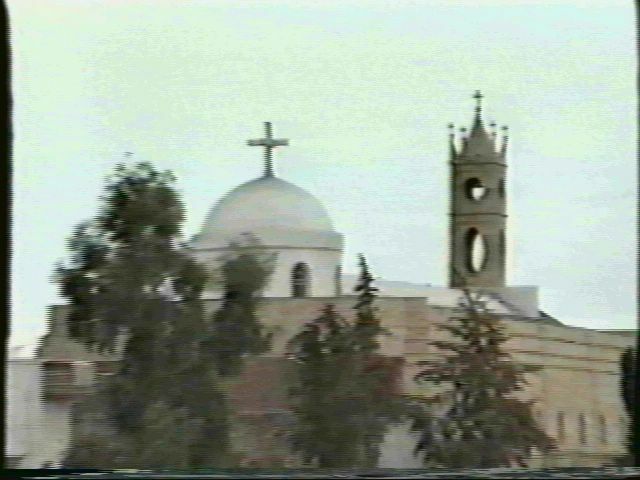 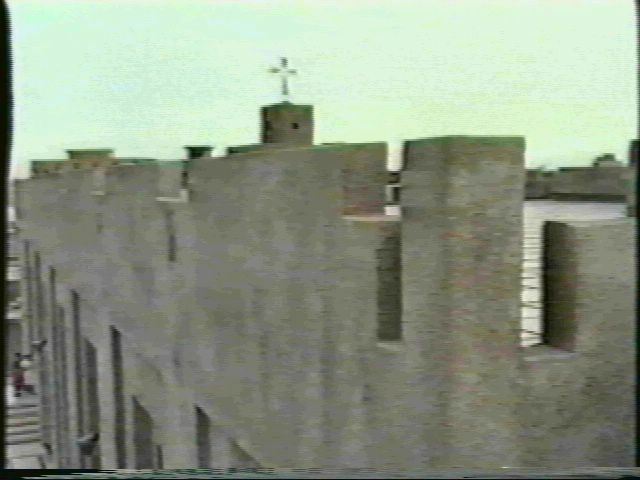 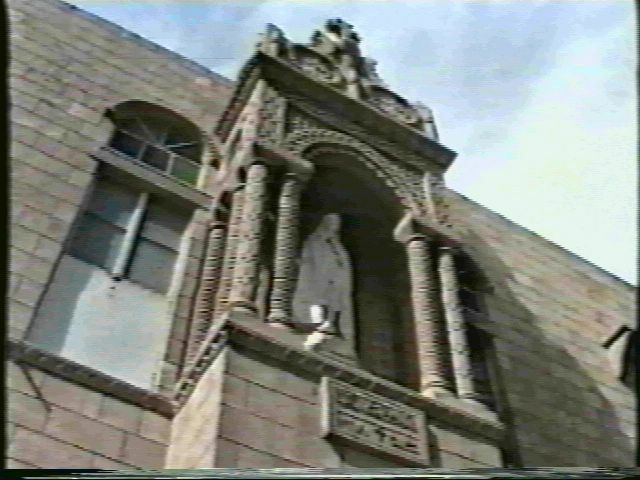 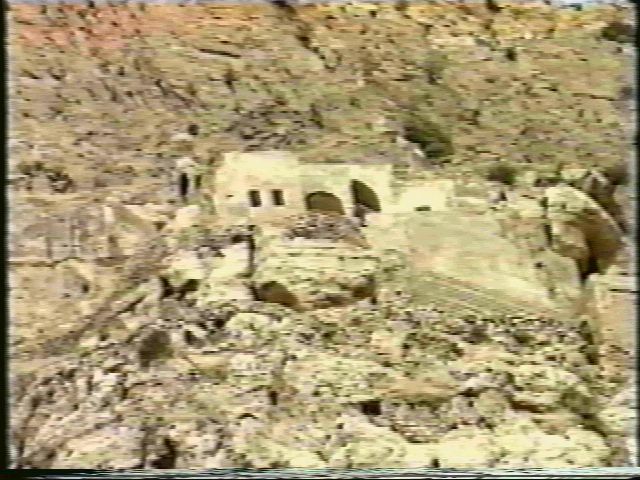 St. Mary Assyrian Church (Mart Maryam), destroyed by in the Anfal Campaign in 1987-1988. 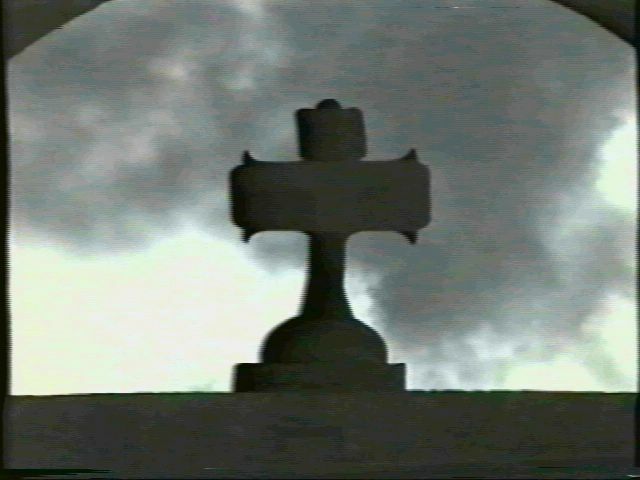 Church Cross remains standing even after fierce Bombing. 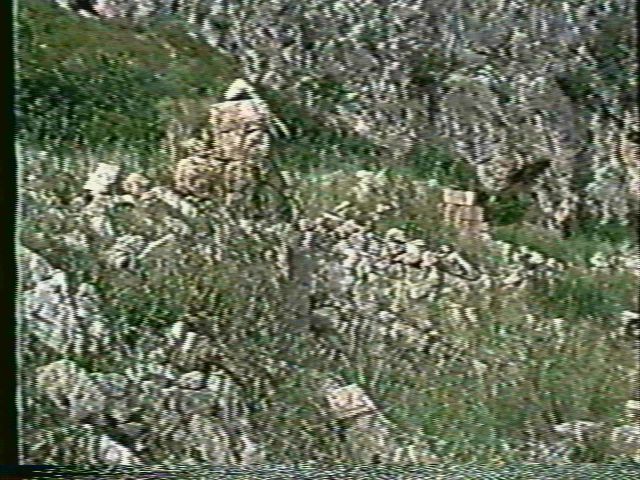 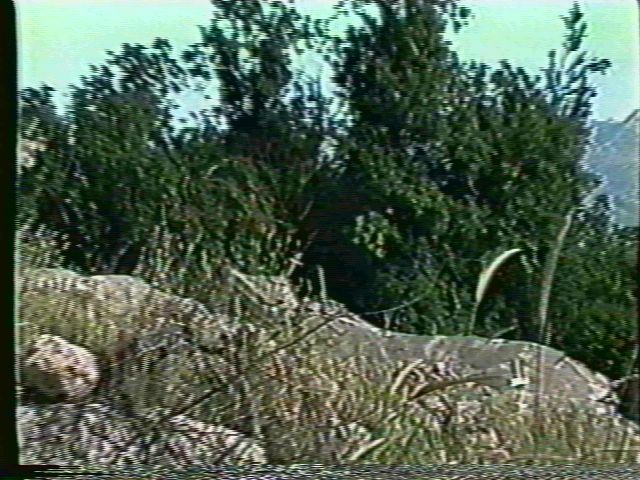 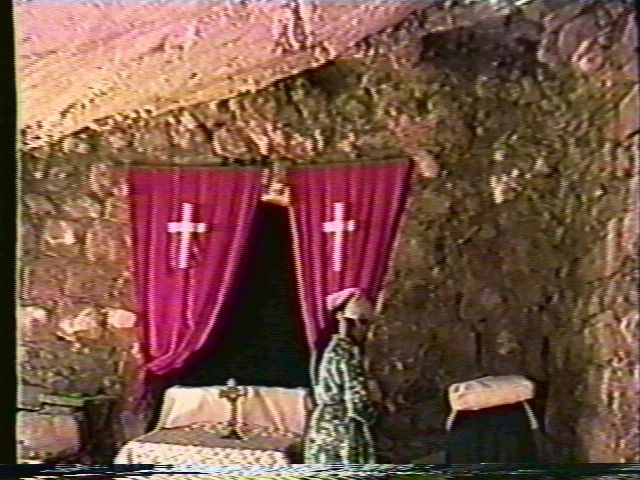 Saddam's soldiers shot at the Cross of the Assyrian Archdeacon Oshana's tombstone (1988 in north Iraq). 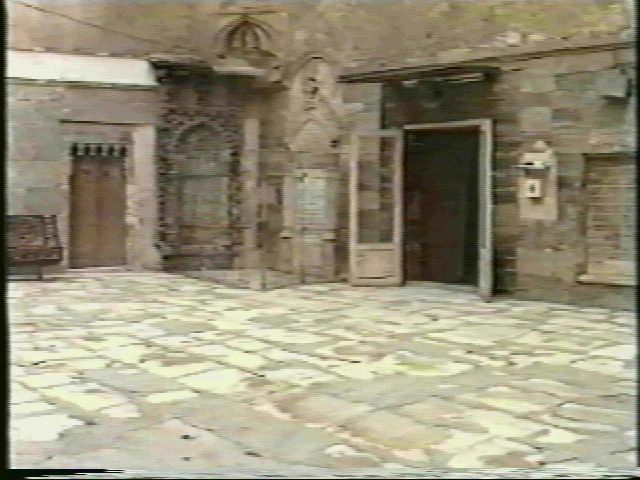 Assyrian church that sustained damage in the Anfal campaign. 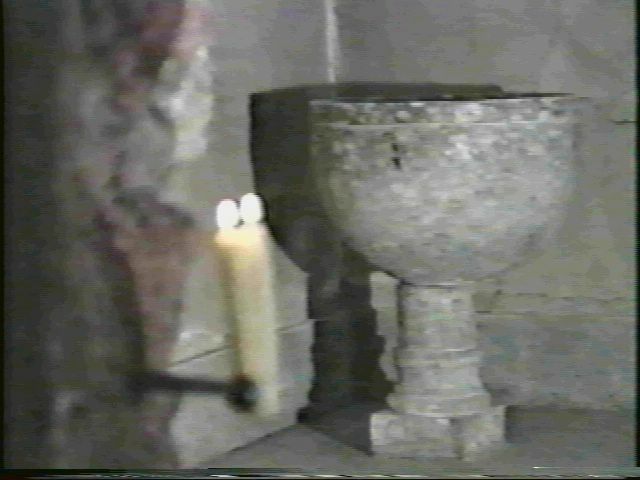 The church was also burned. 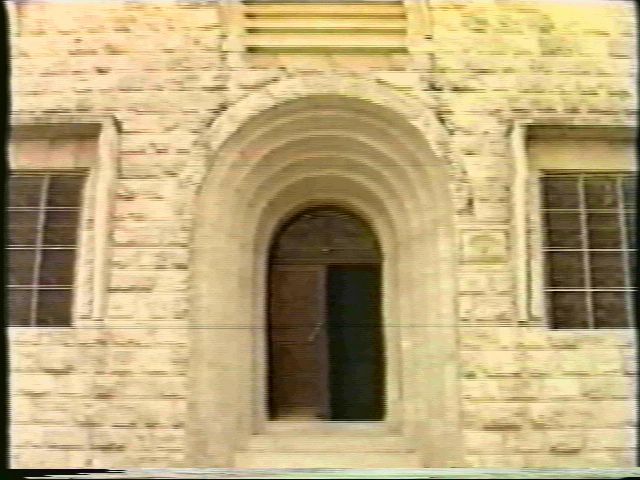 Assyrian Villagers bringing bombed church back to life. 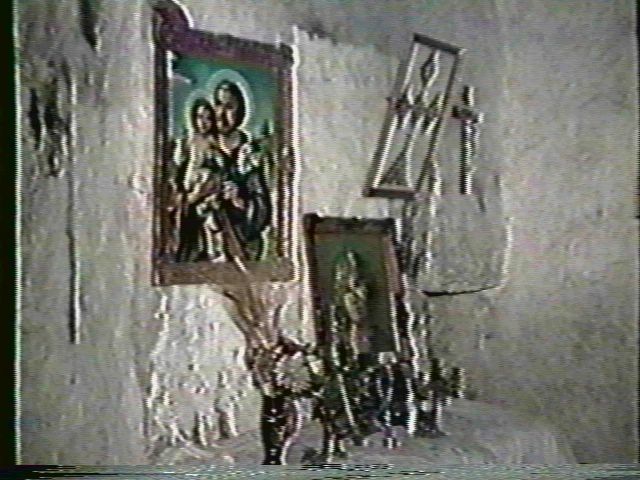 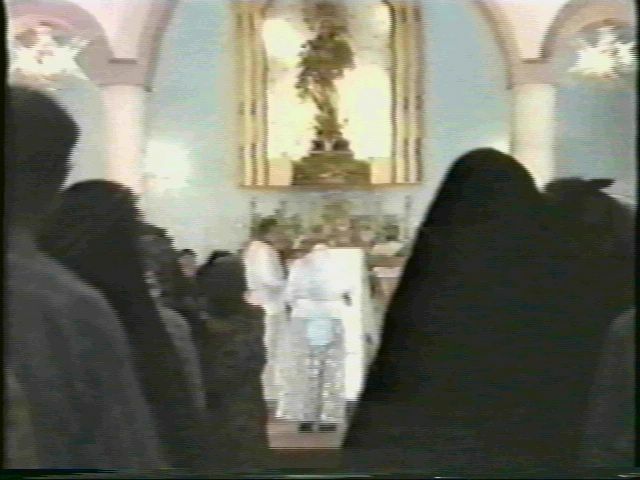 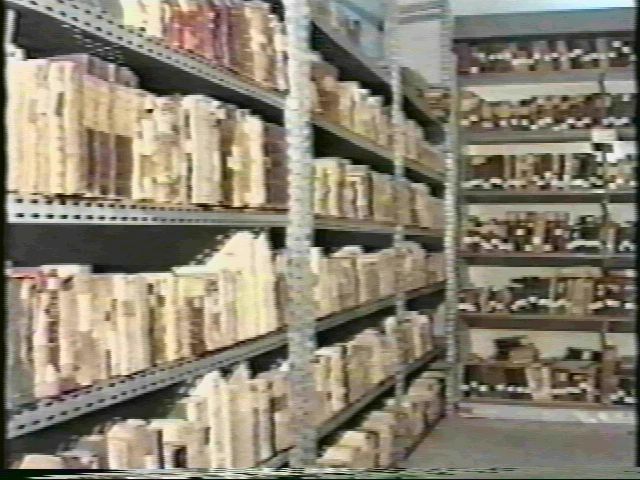 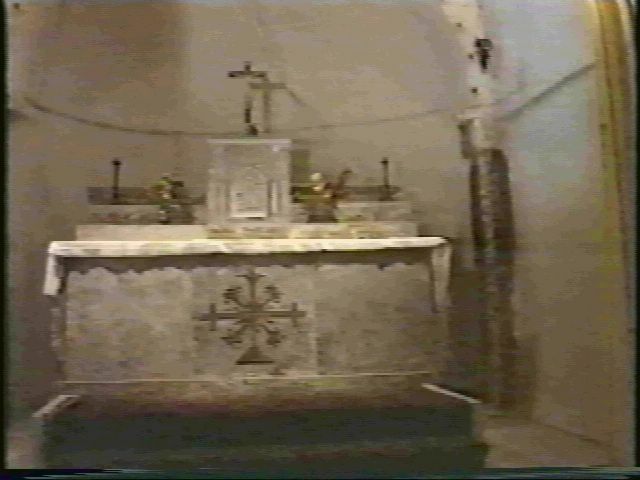 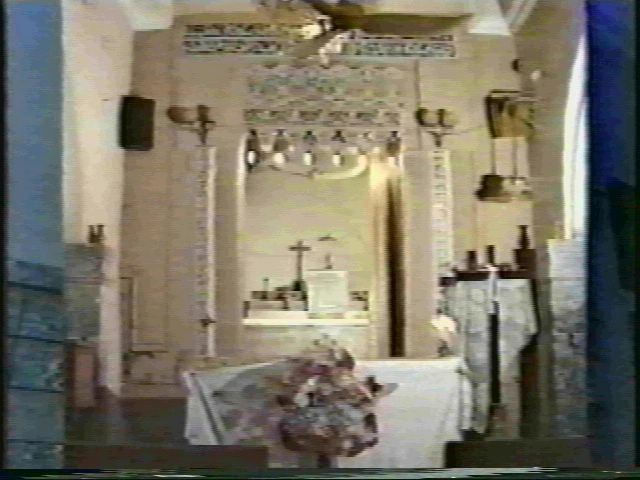 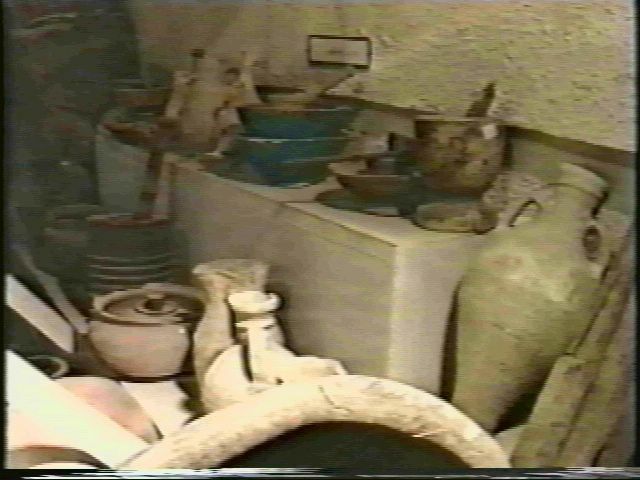 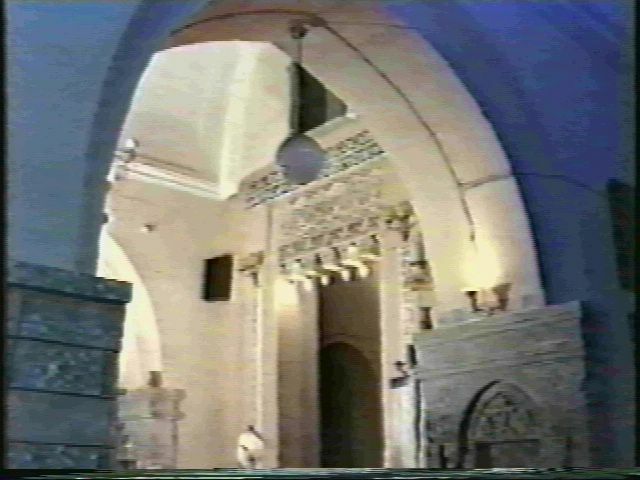 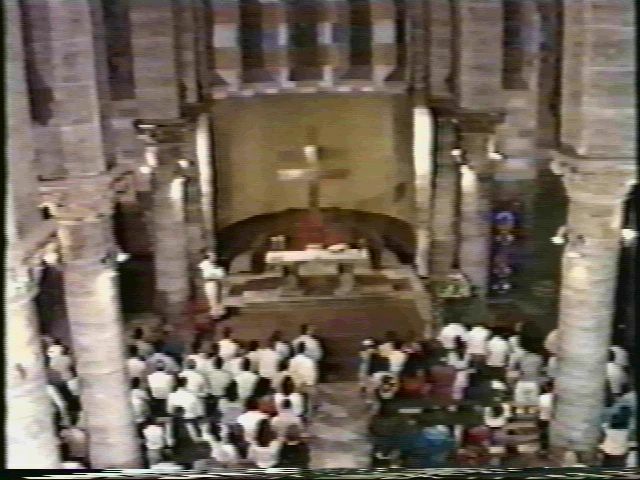 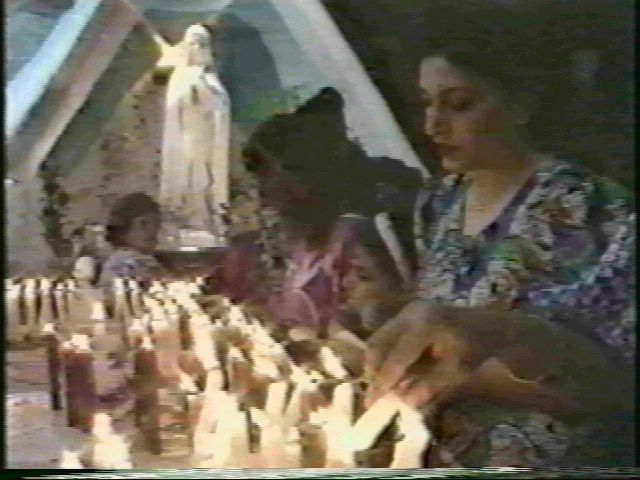 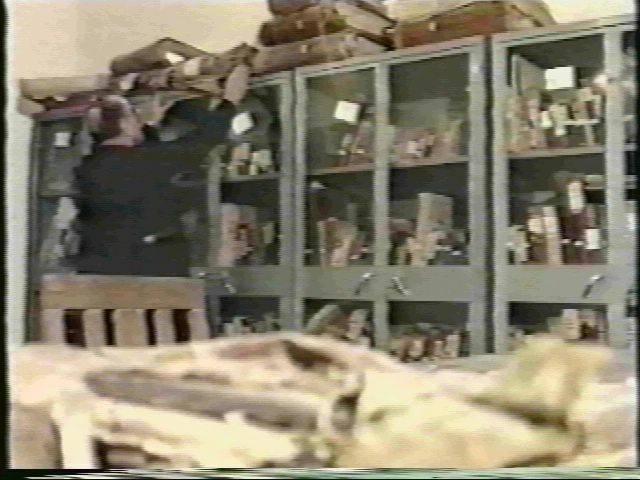 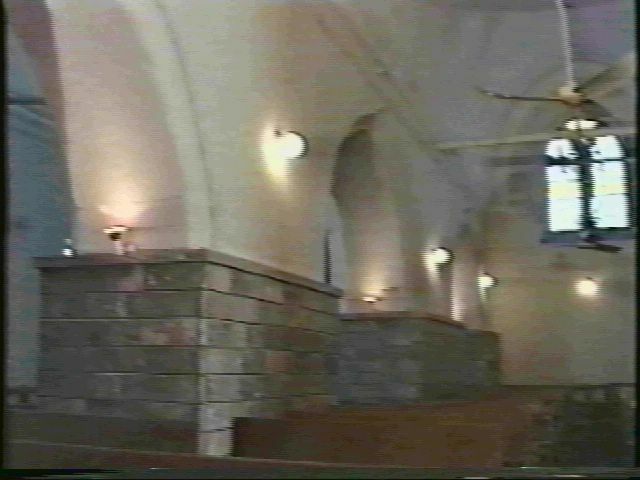 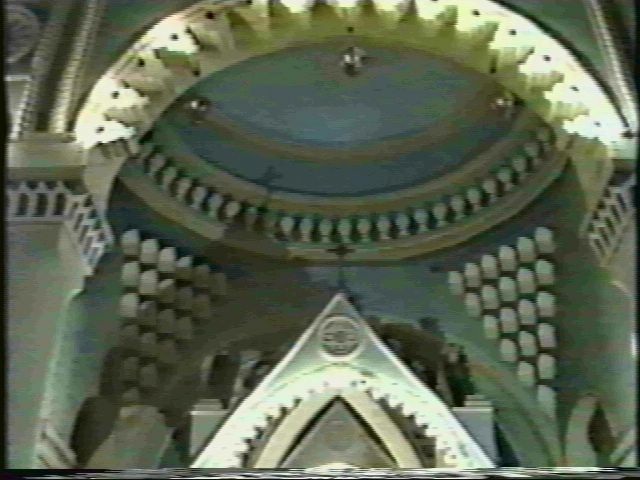 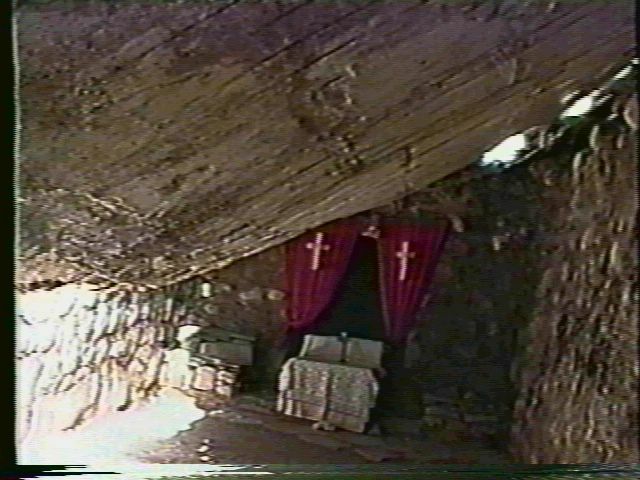 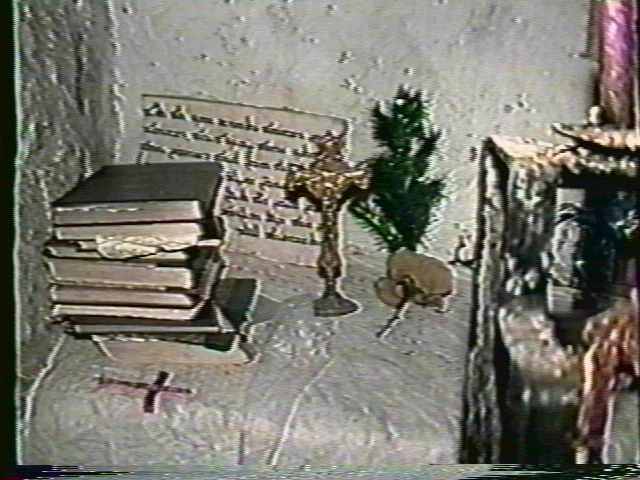 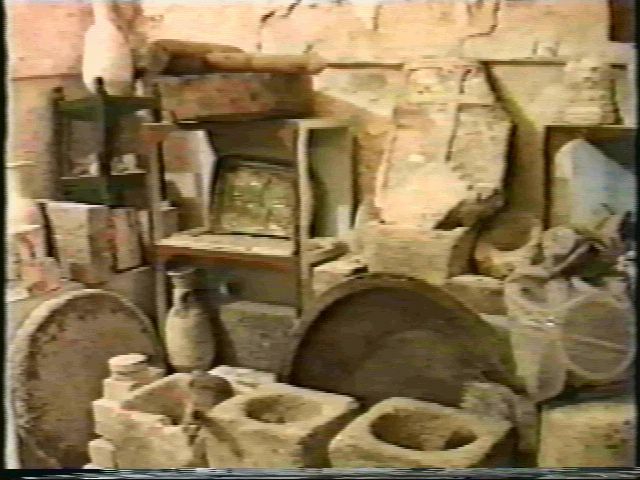 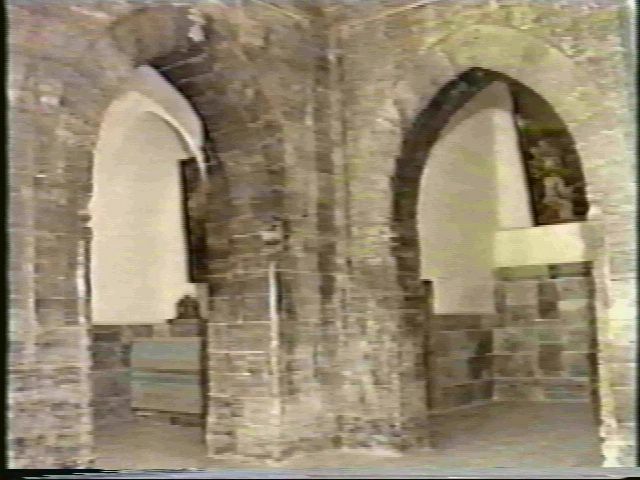 New items placed in the church after the church was burned in the Anfal campaign. 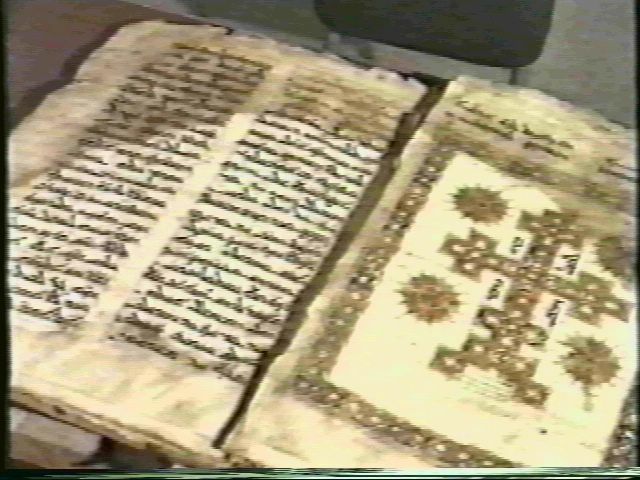 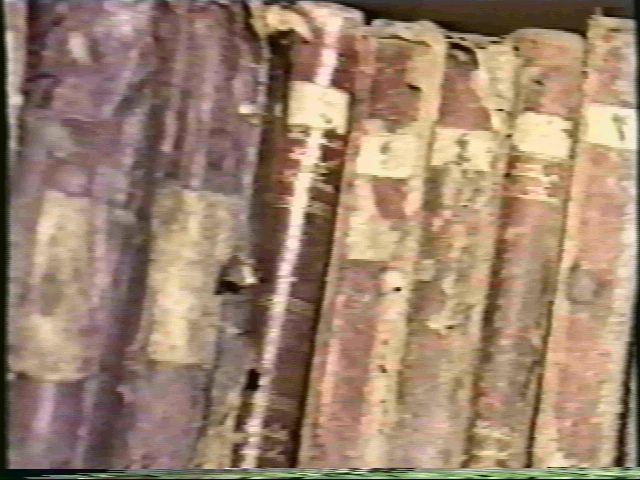 Bibles and church items used in this Assyrian church after repairs. 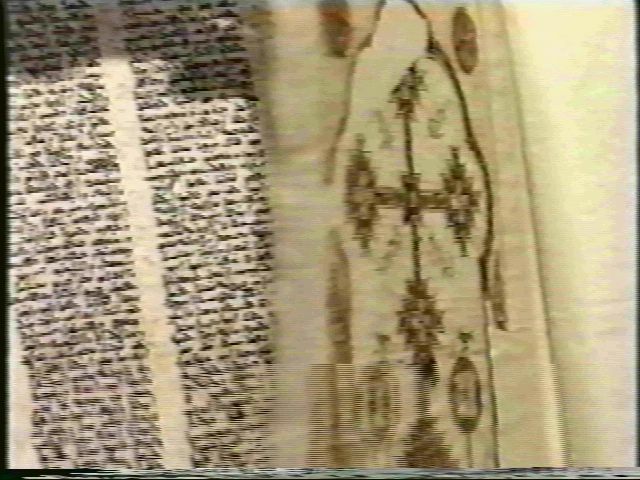 The Lord's prayer in Aramaic is seen behind cross the Bibles. 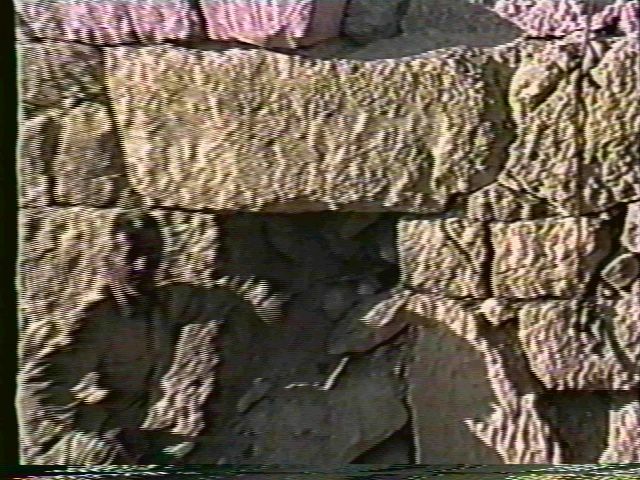 Assyrians pray in front of the only remaining stone from the alter in the rubble of the bombed church in North Iraq. 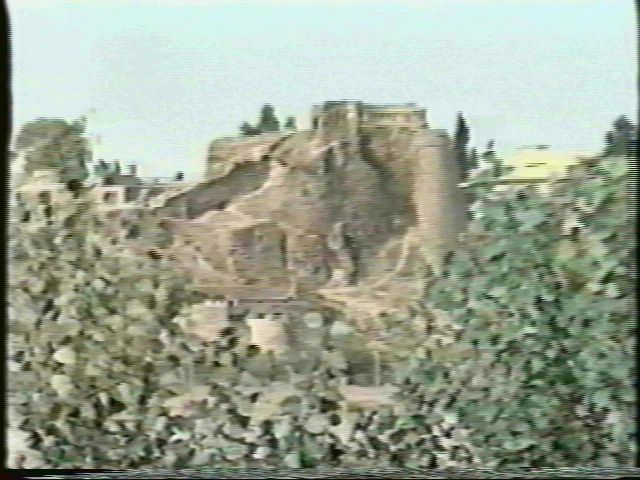 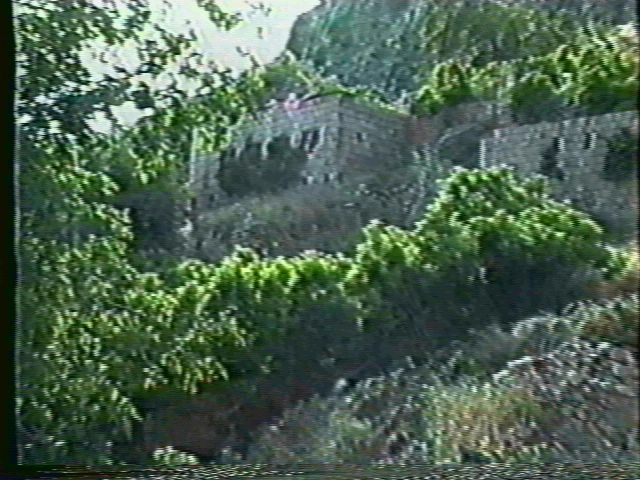 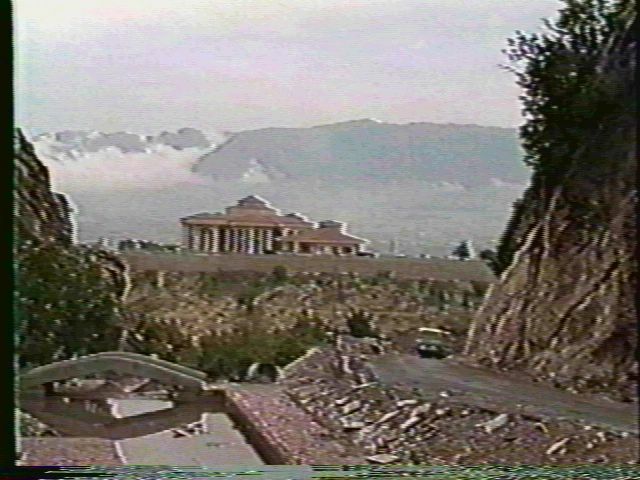 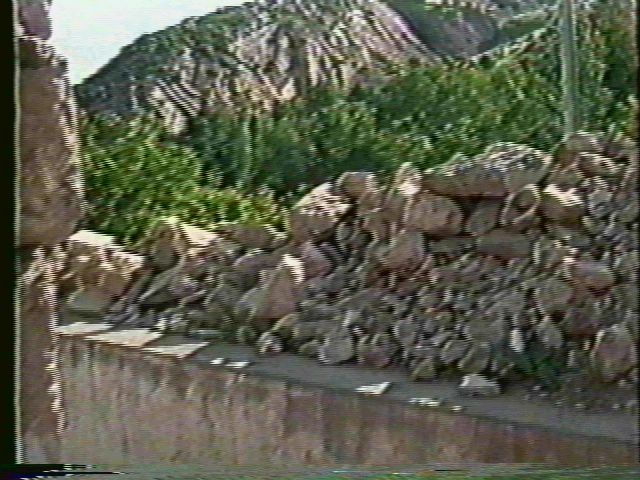 One of Saddam's Palaces in north Iraq, built with many stones taken from desstroyed villages and churches. 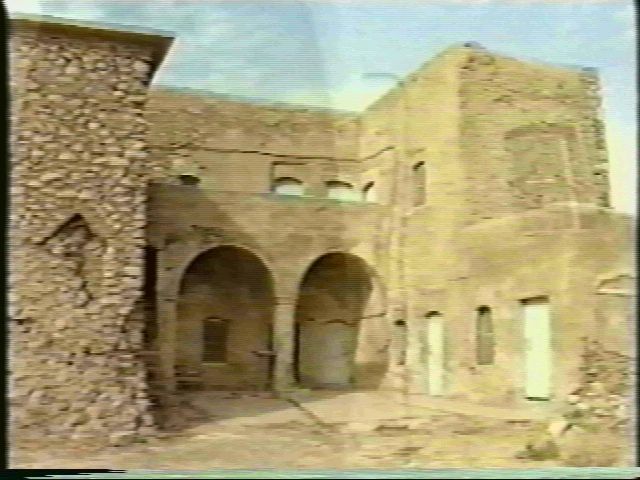 Abandoned Saddam Palace in the UN region of North Iraq. 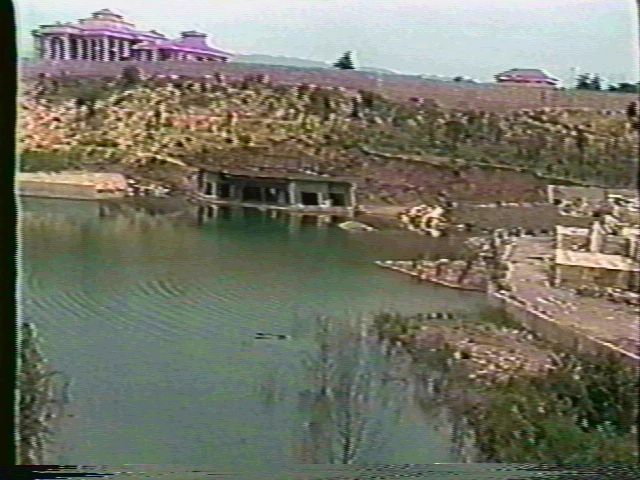 Abandoned Saddam Palace in north Iraq, left unfinished after the Gulf war. 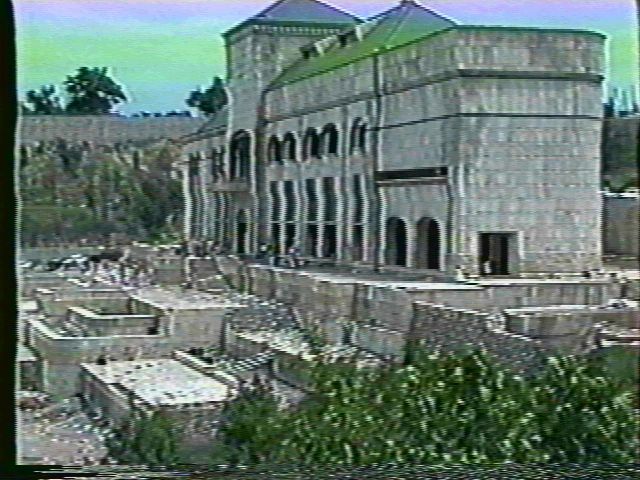 Such palaces were built partially with stones from nearby Assyrian churches and villages. 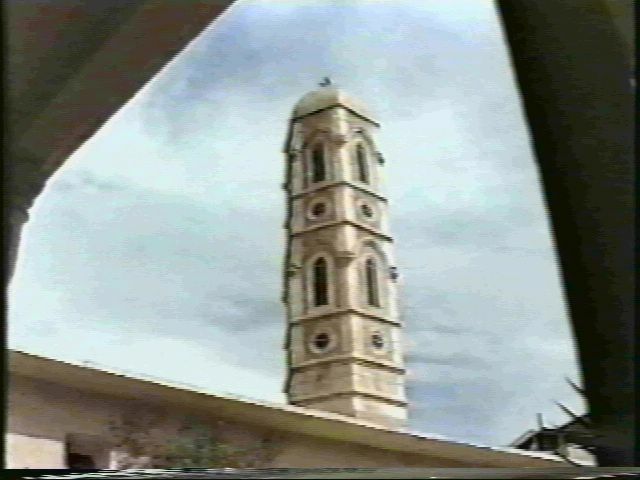 Modern Chaldean-Assyrian church in Iraq. 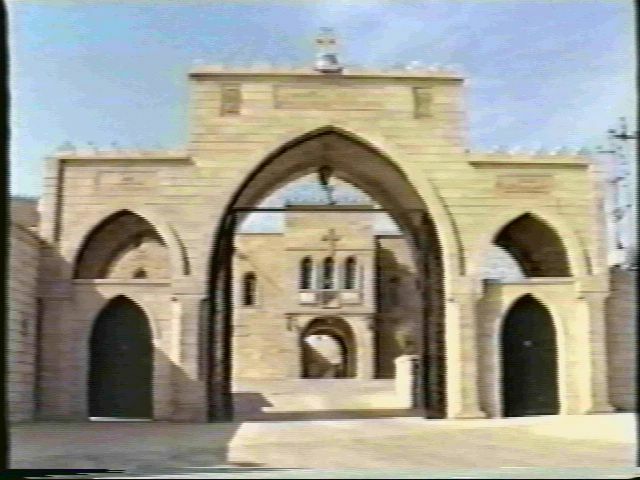 Chaldean-Assyrian monastery in North Iraq. 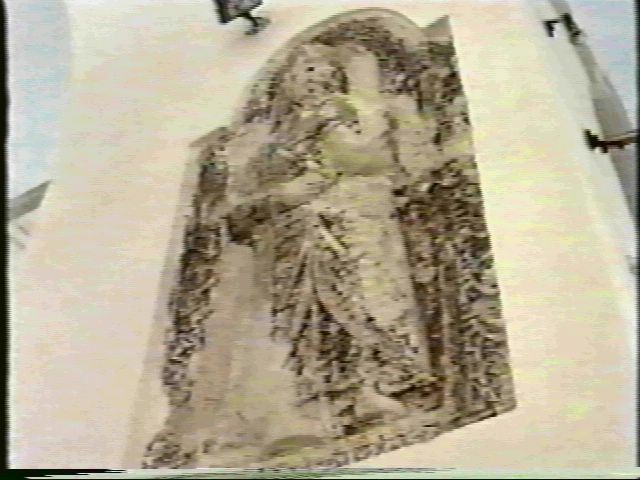 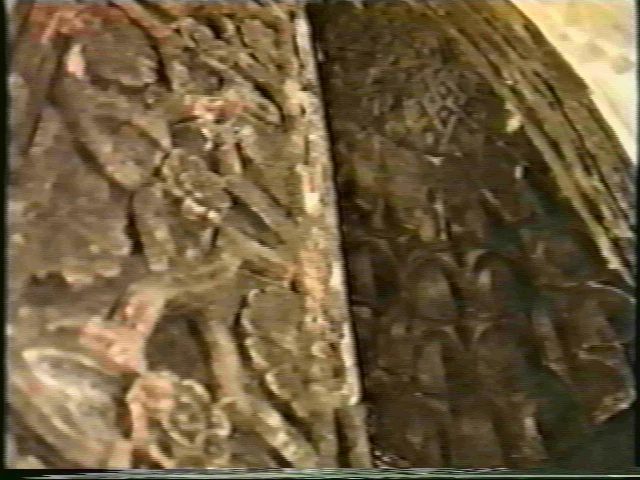 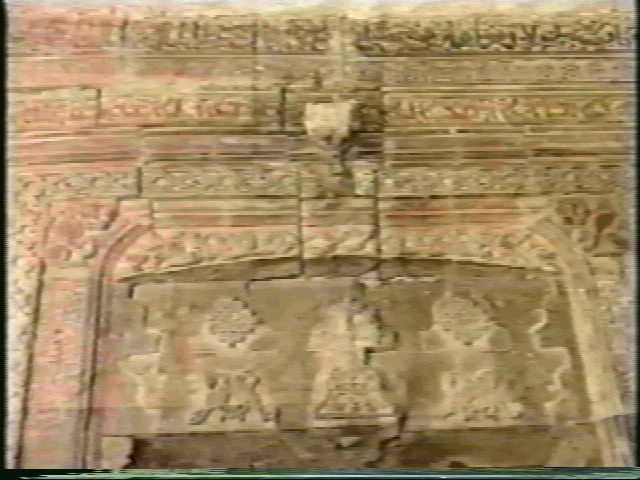 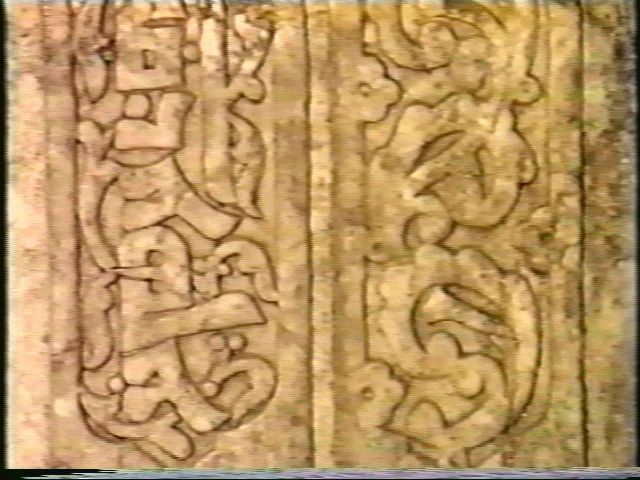 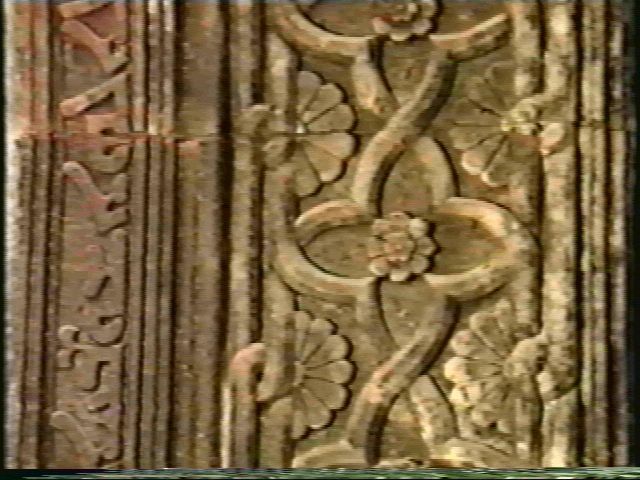 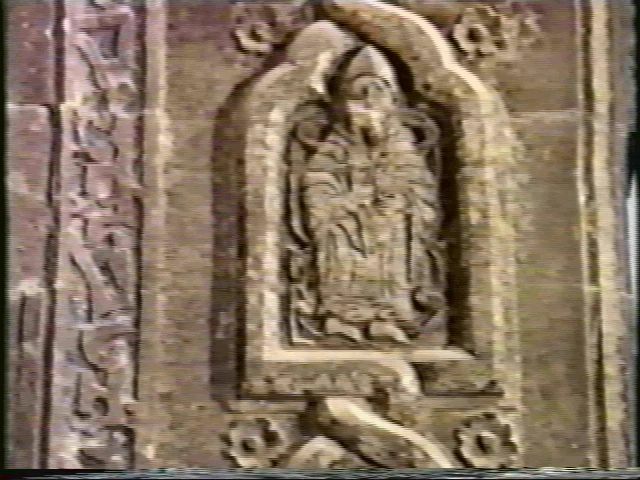 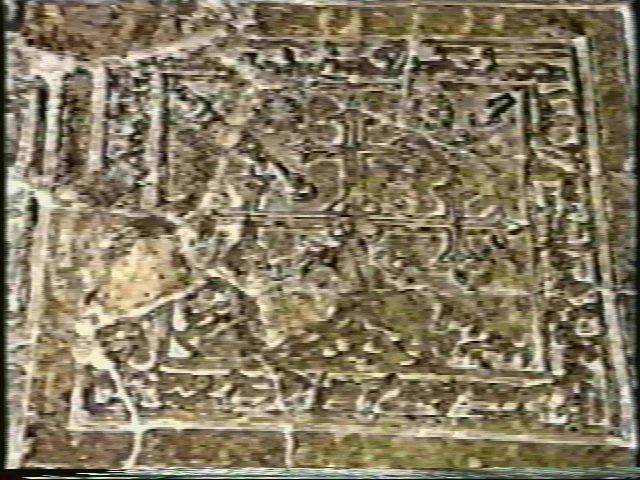 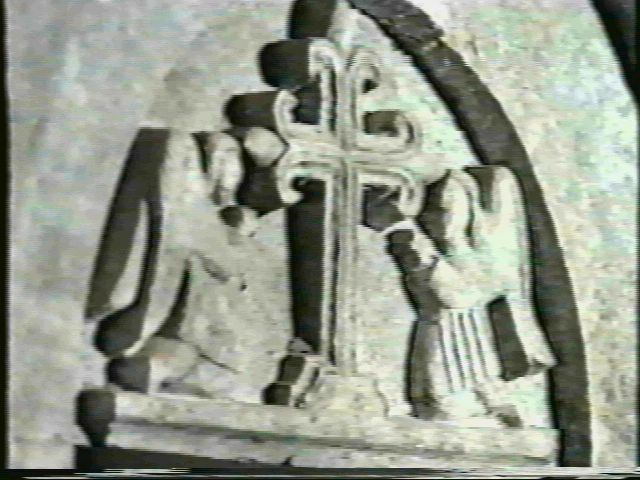 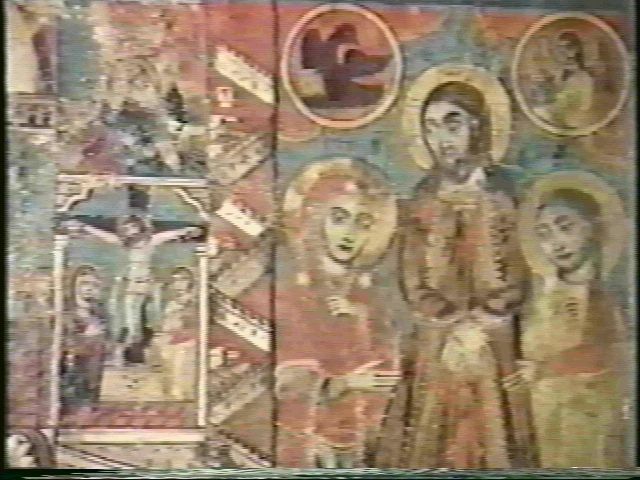 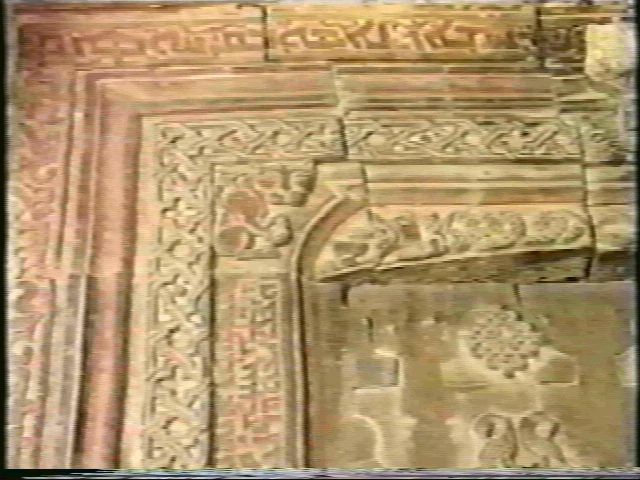 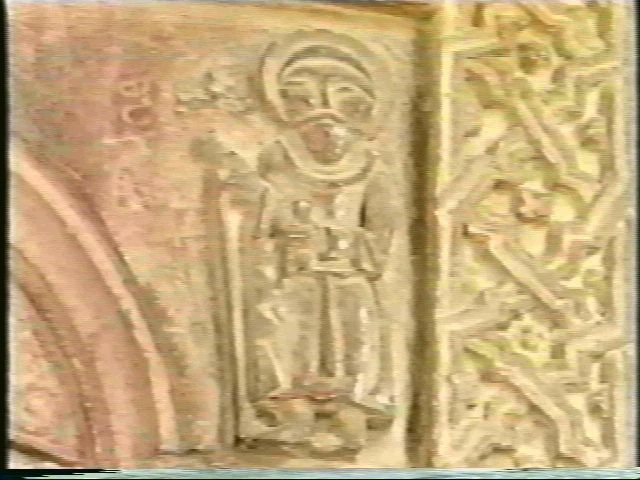 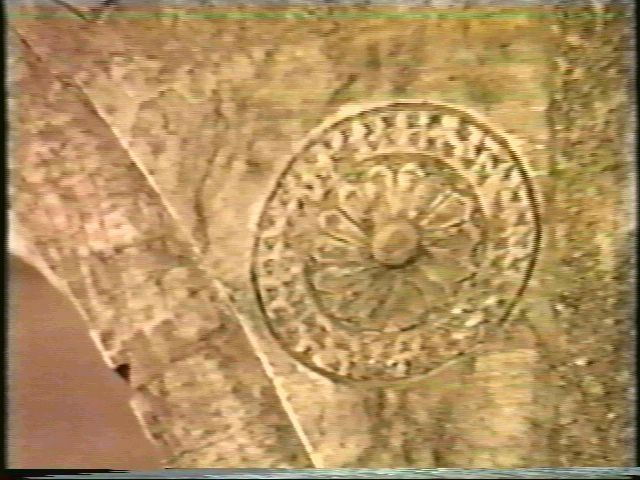 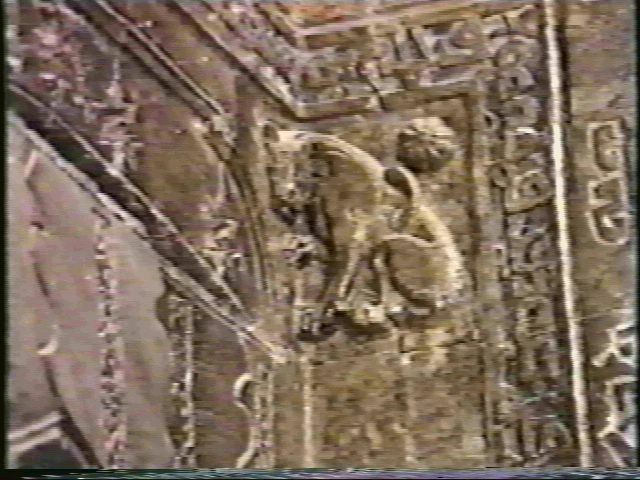 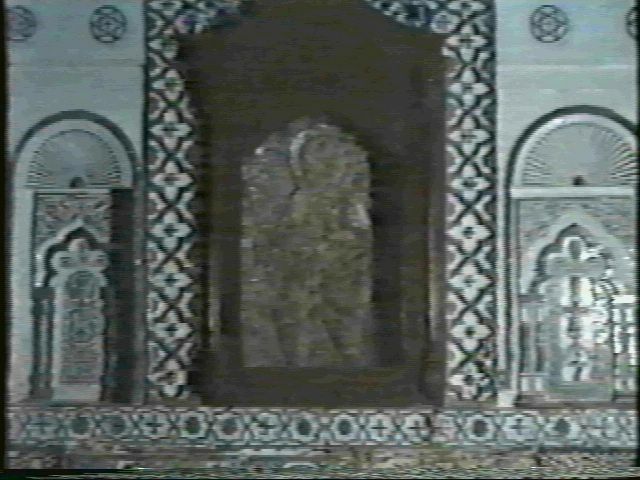 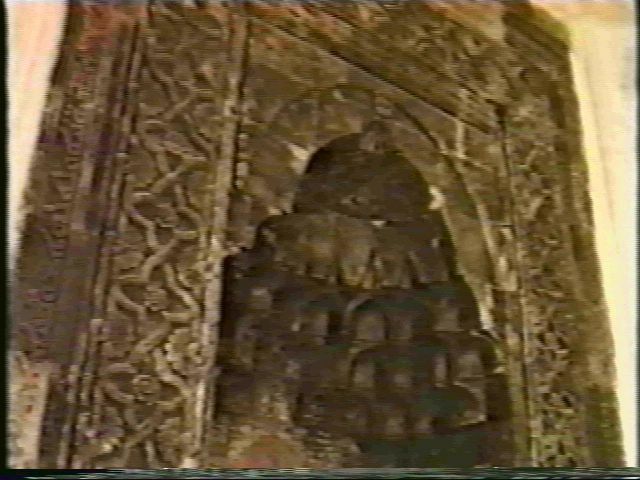 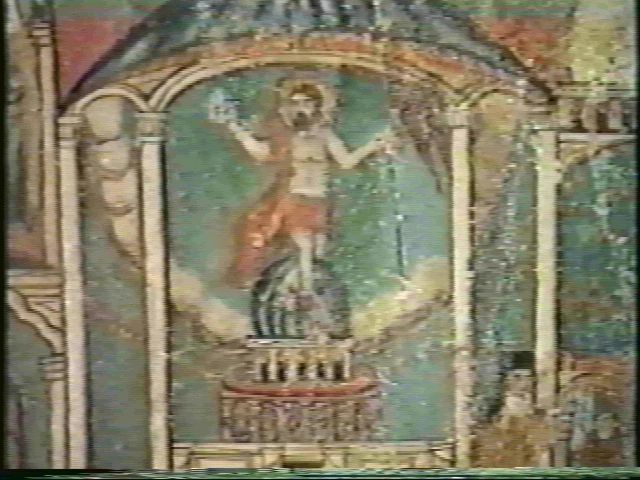 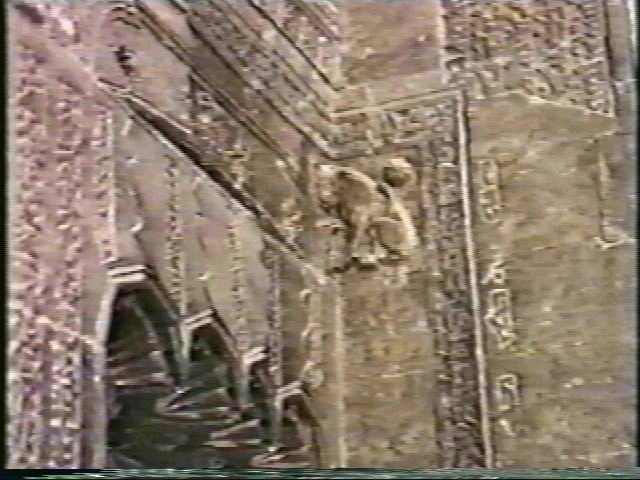 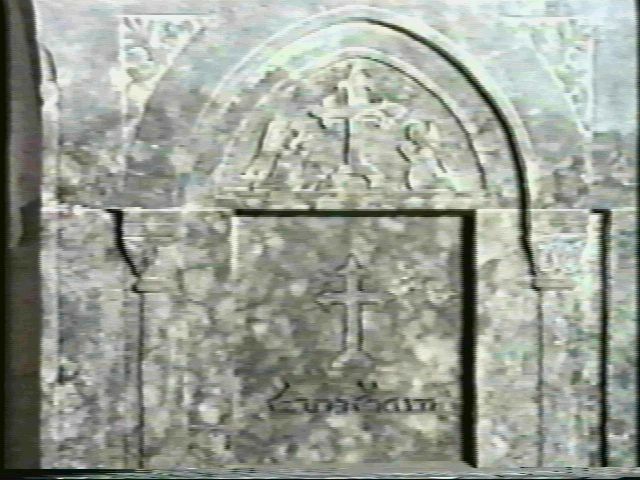 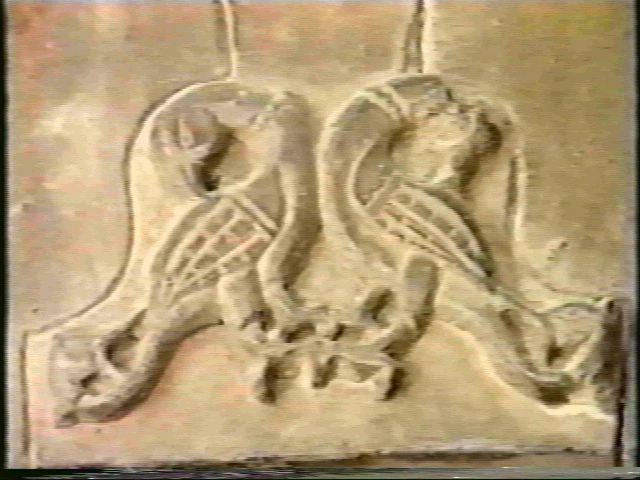 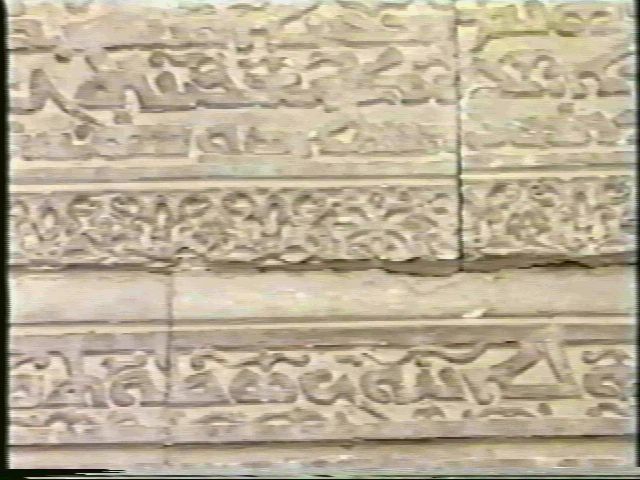 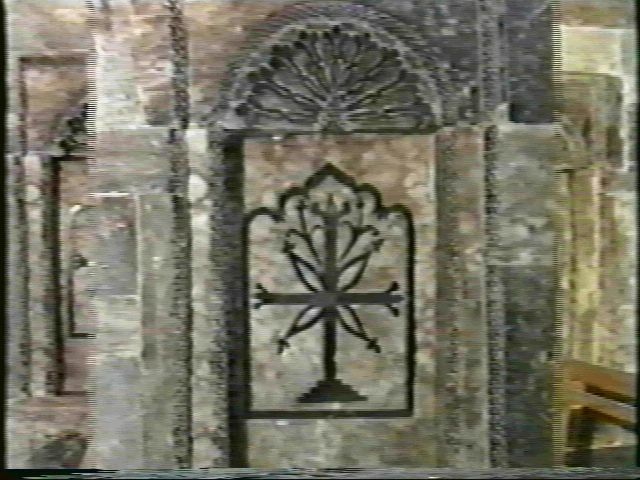 Ancient Assyrian Christian symbols in churches located in north Iraq. 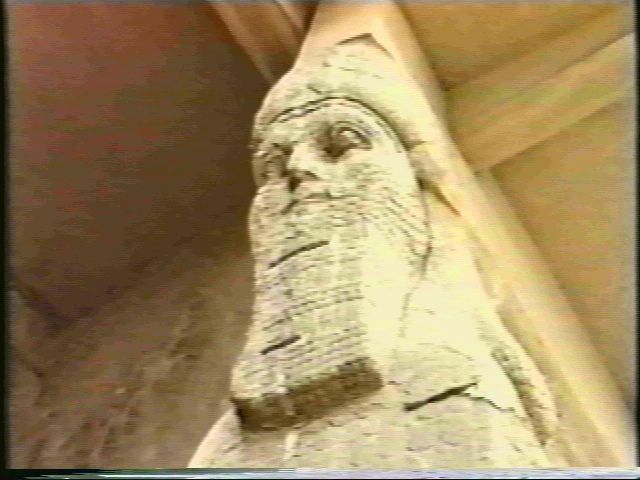 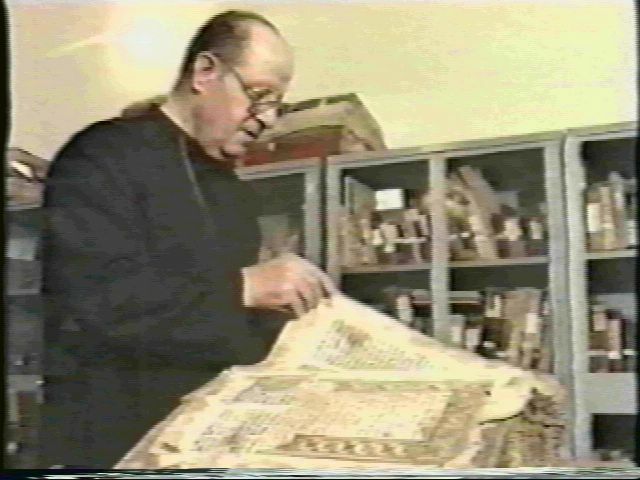 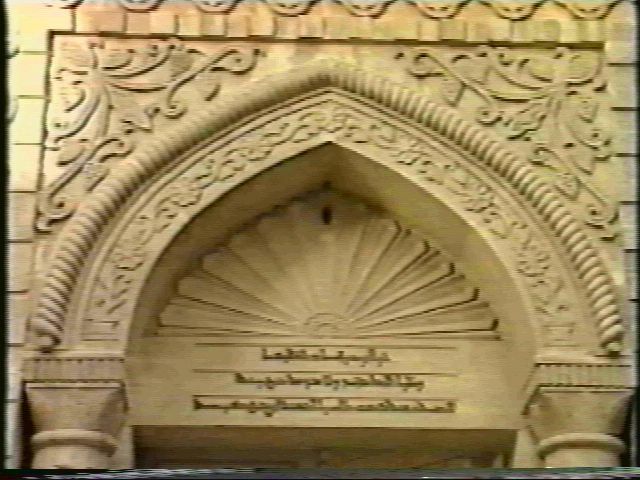 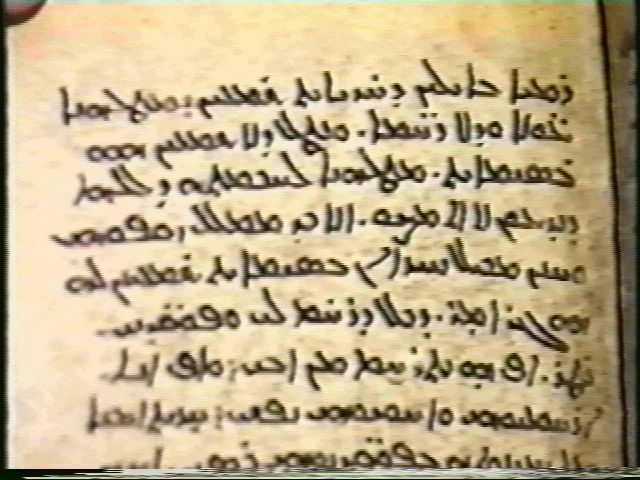 Syriac inscriptions on ancient Assyrian churches in north Iraq in danger of being destroyed. 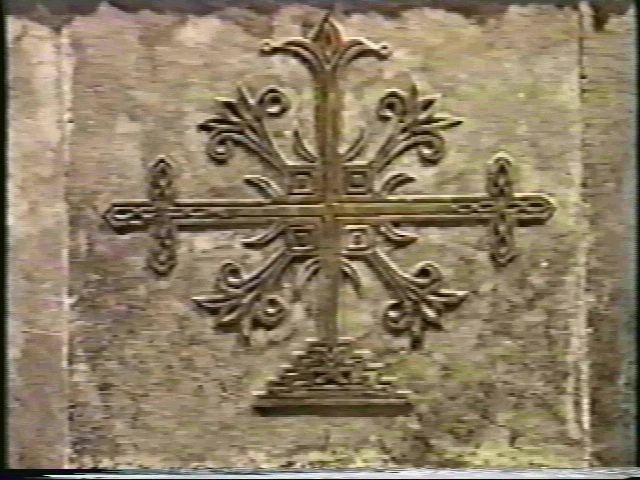 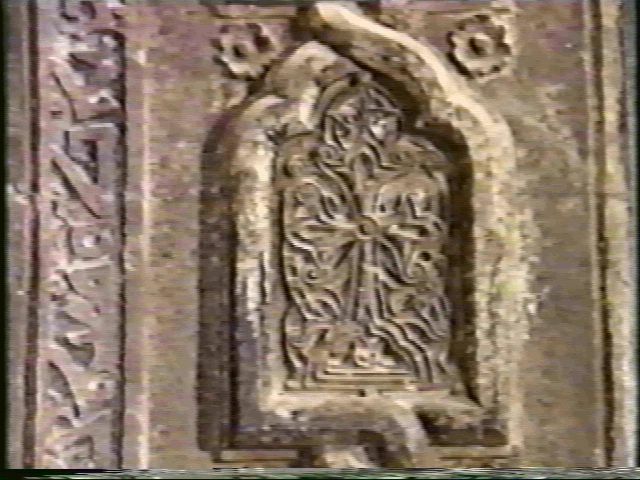 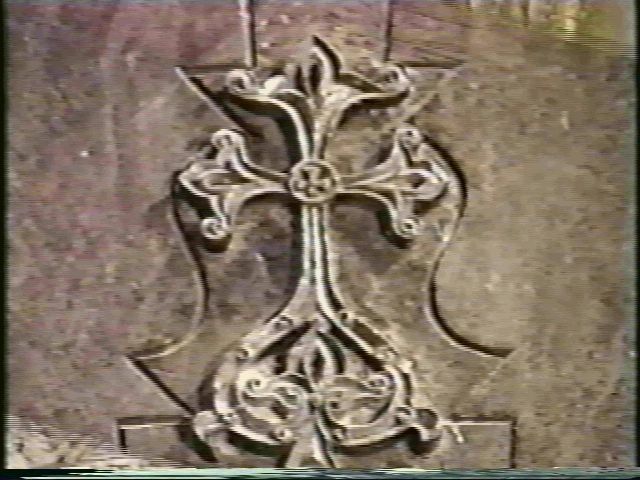 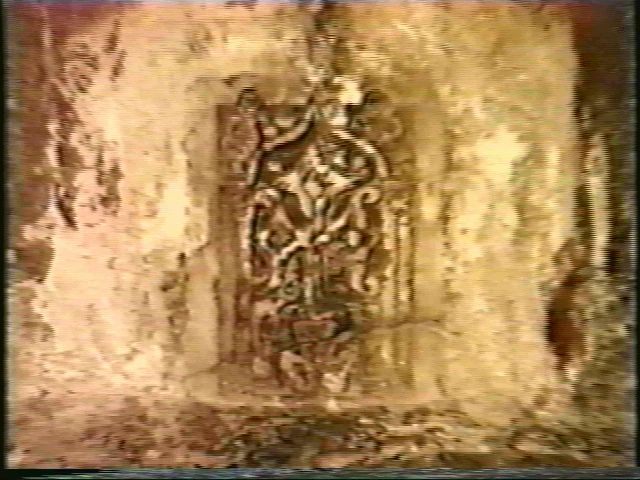 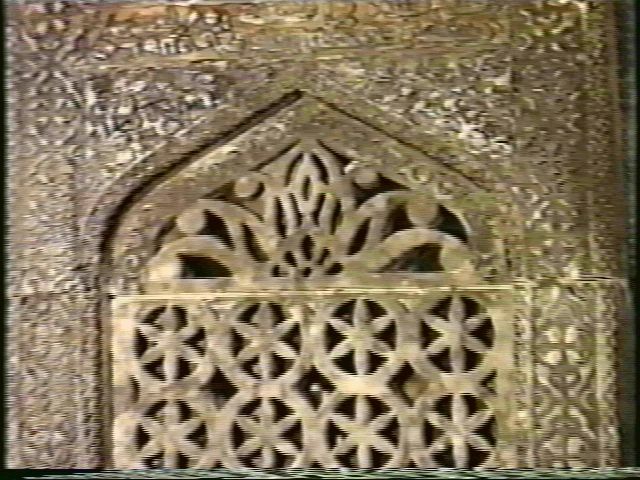 Ancient Assyrian Cross in church located in north Iraq. 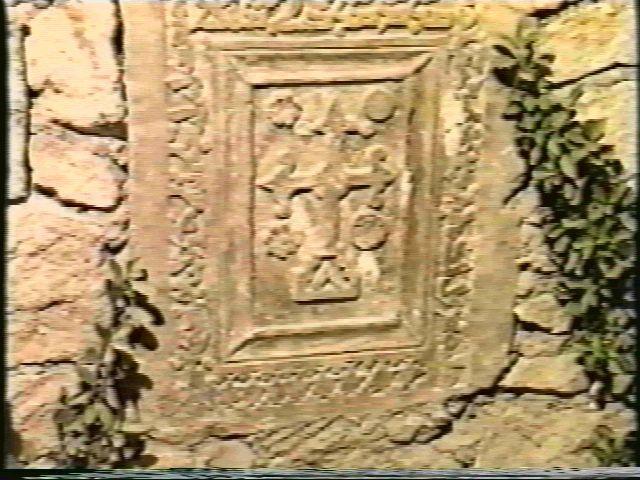 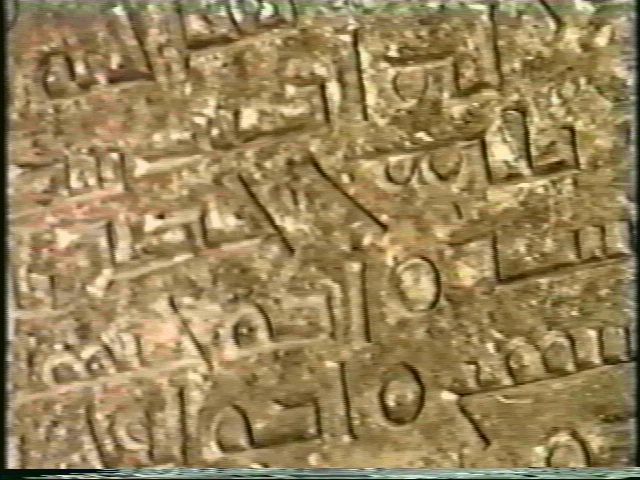 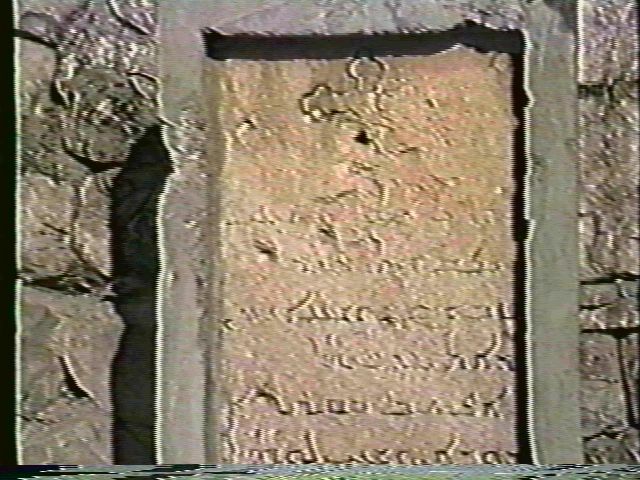 Ancient Assyrian Cross surrounded by Syriac inscriptions.